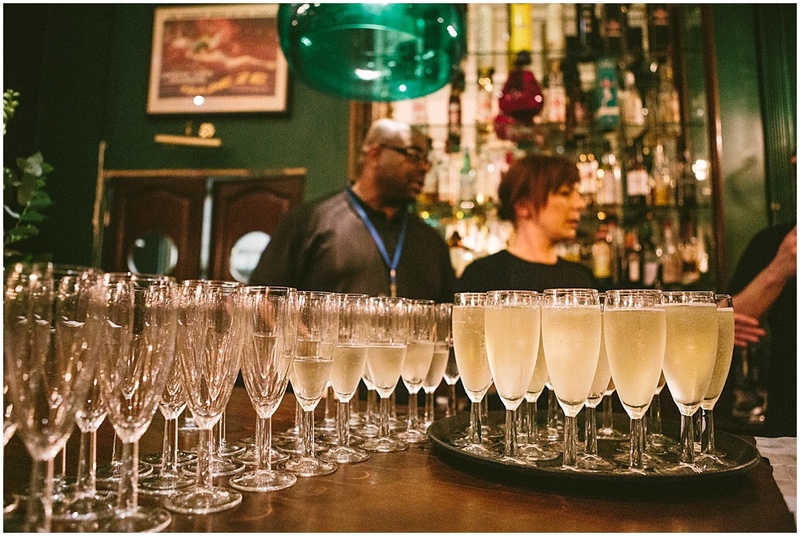 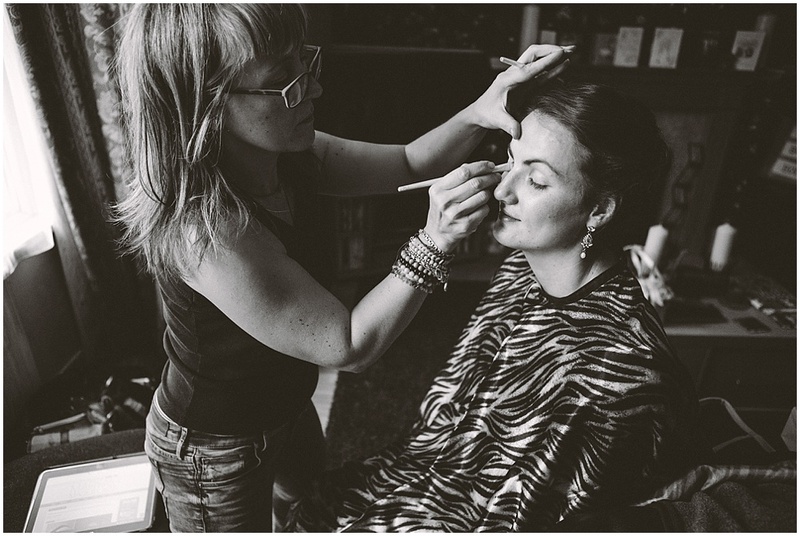 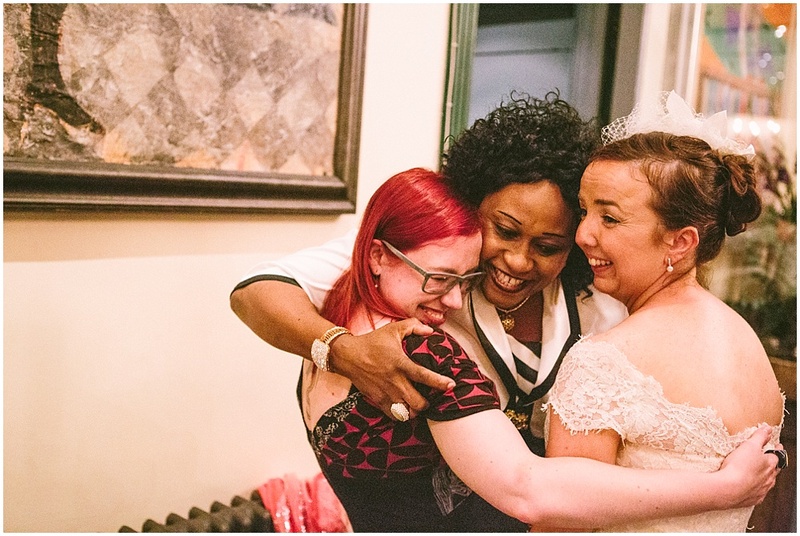 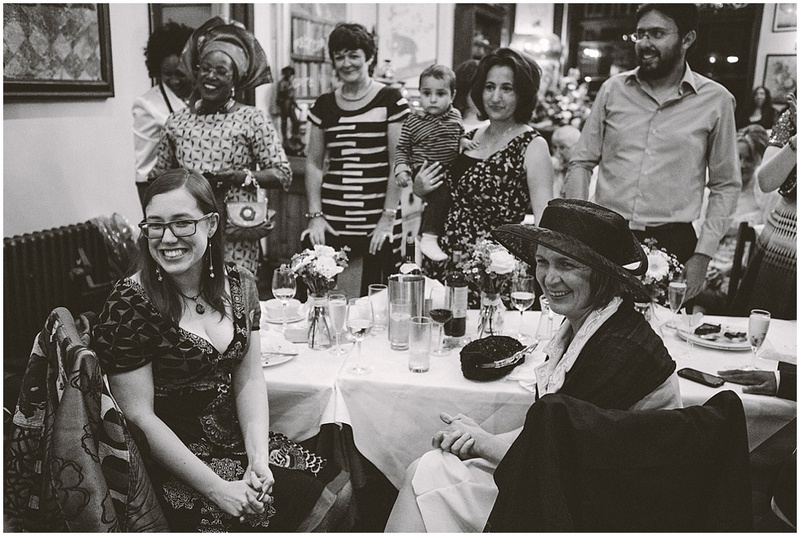 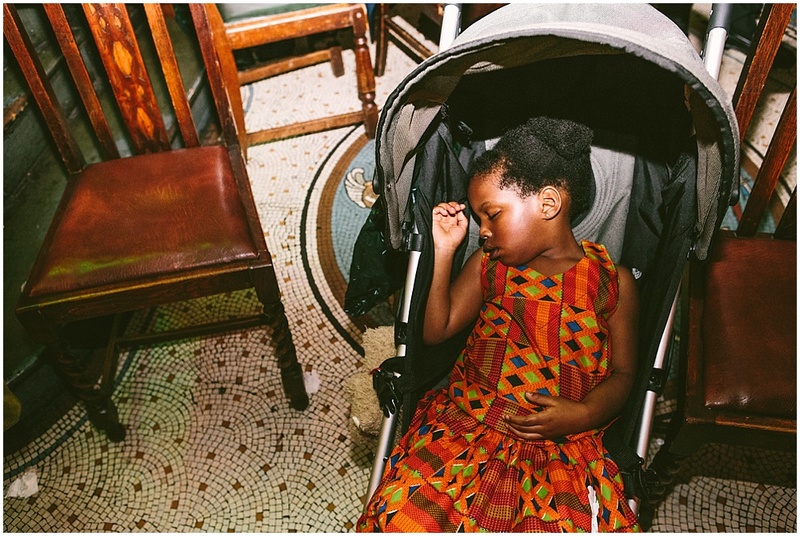 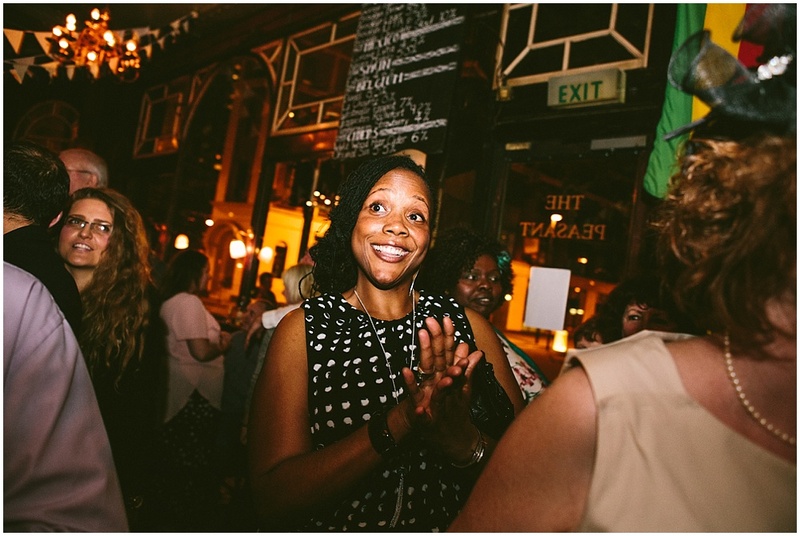 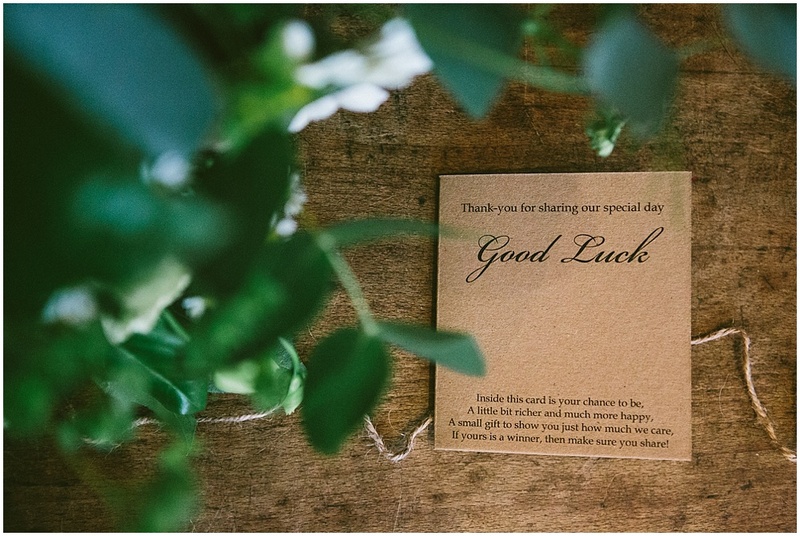 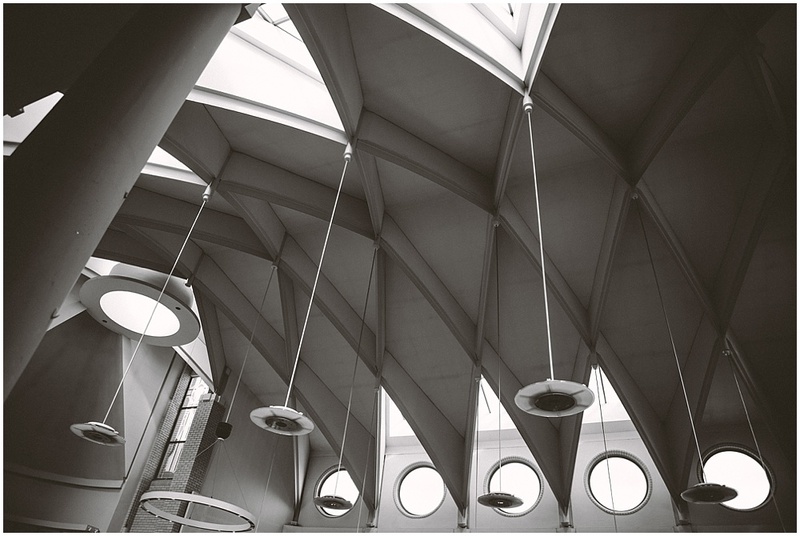 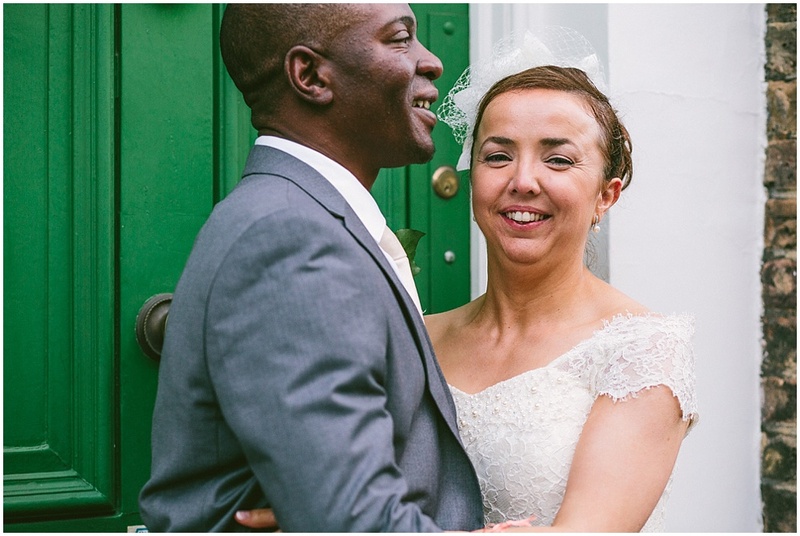 Wedding Photography to Love by Rebecca Tovey: Victor and Jean's Irish and African Fusion Vintage Inspired Wedding in London. 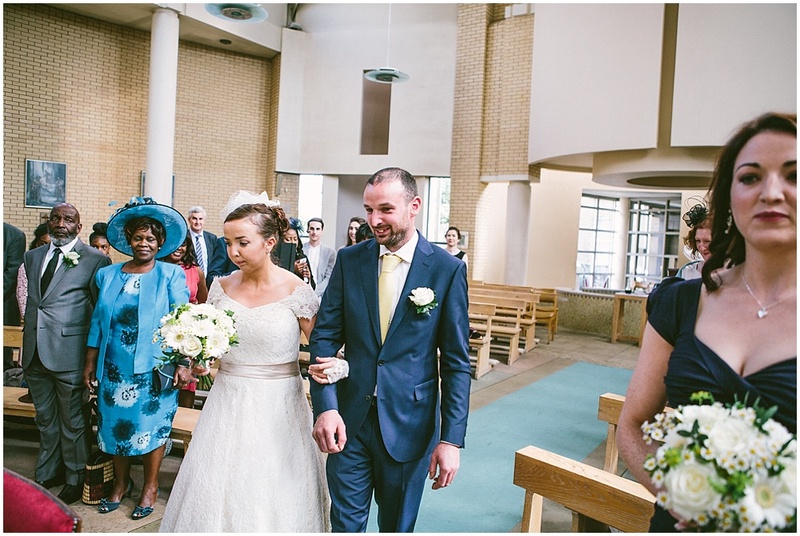 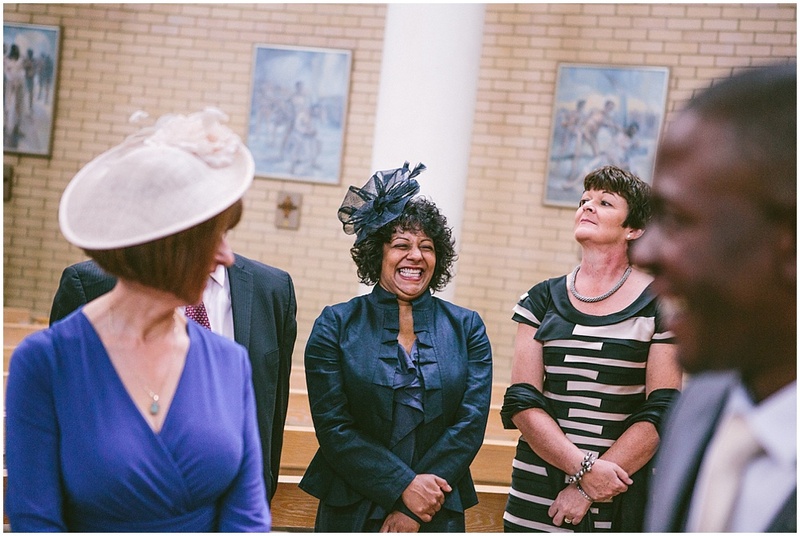 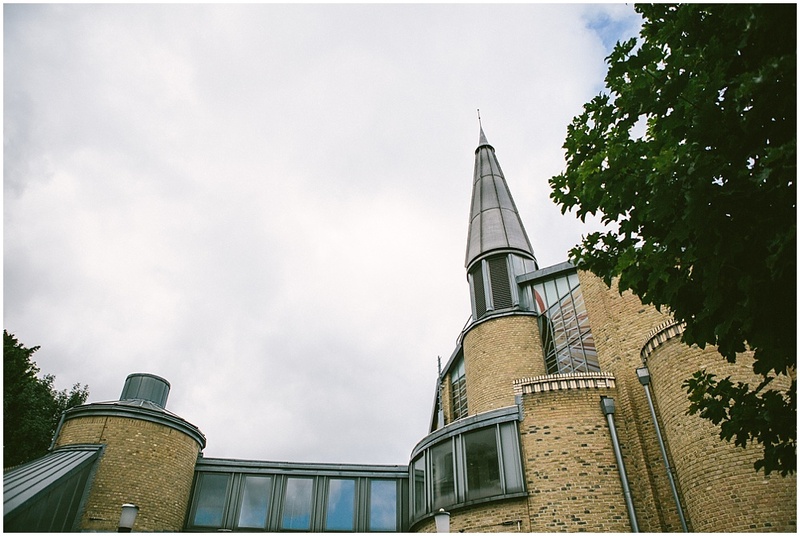 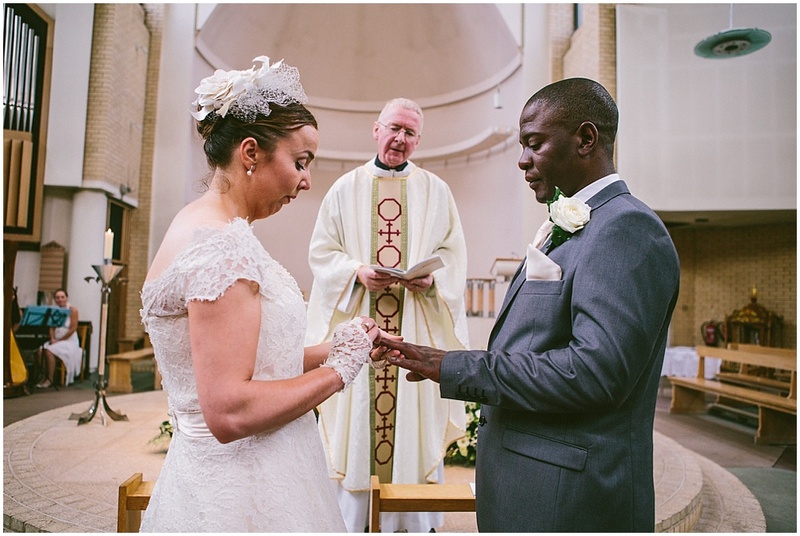 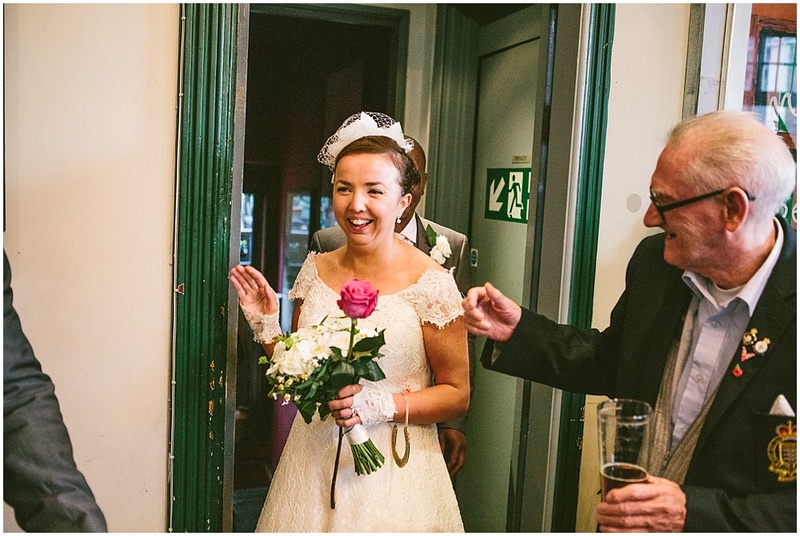 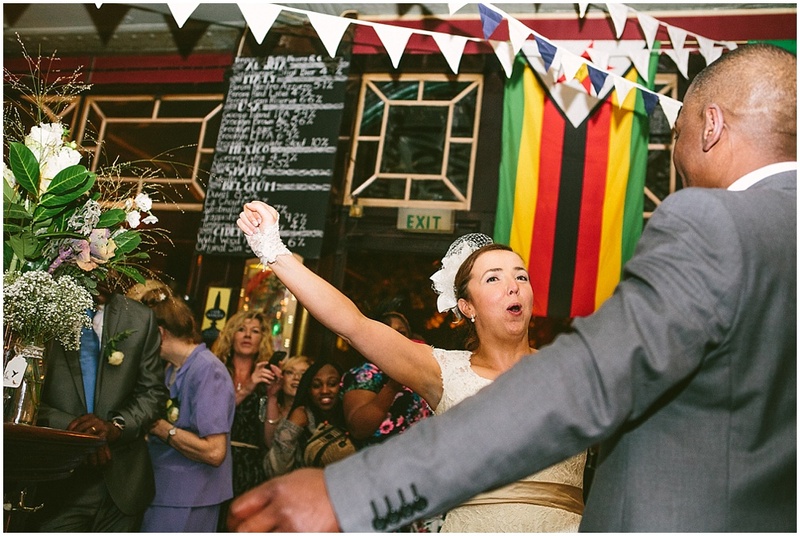 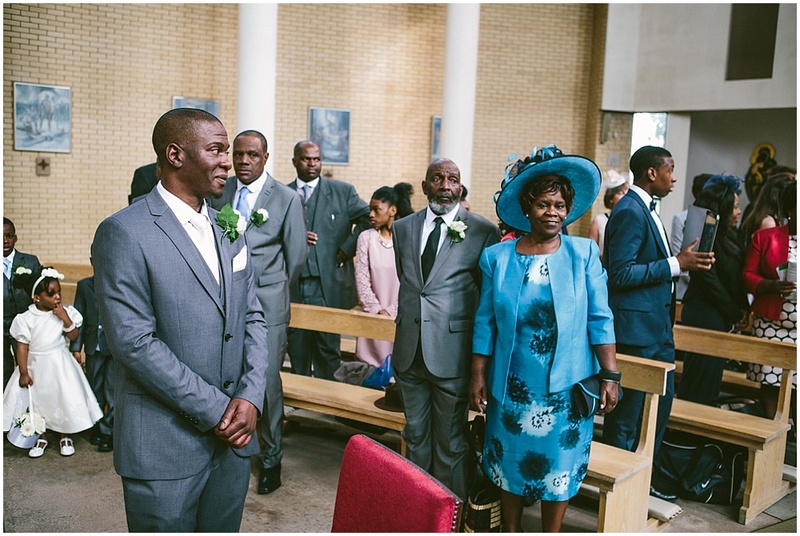 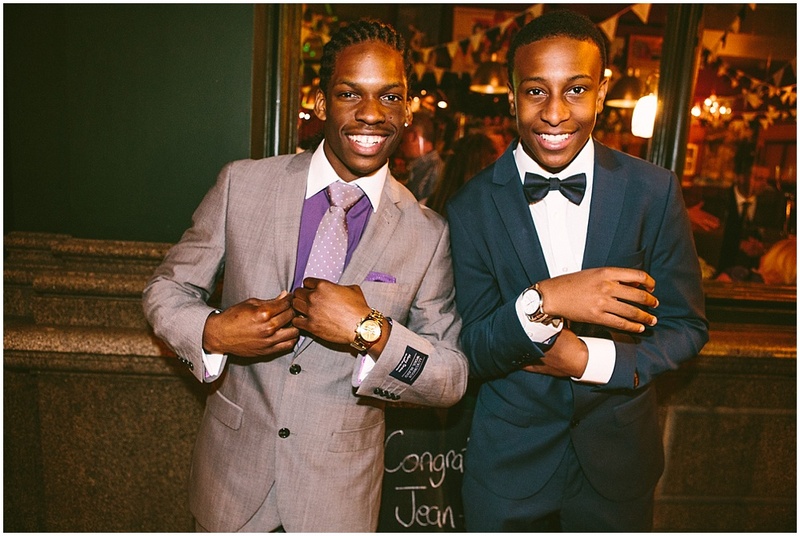 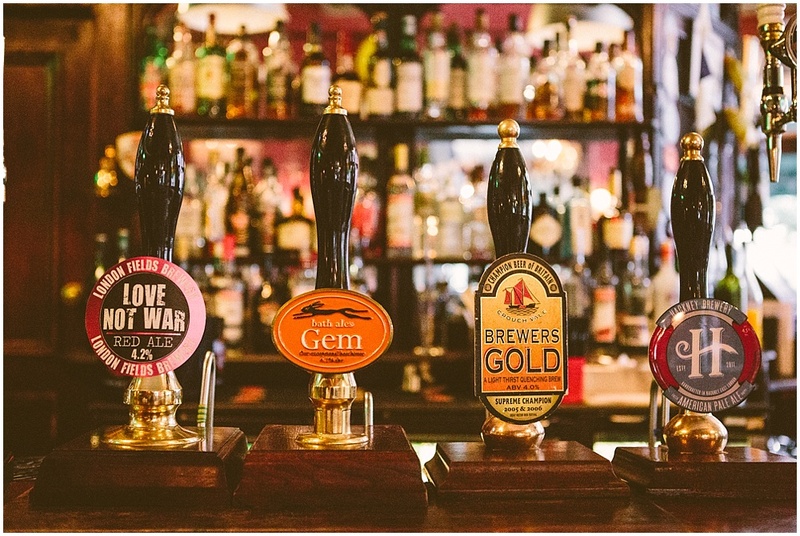 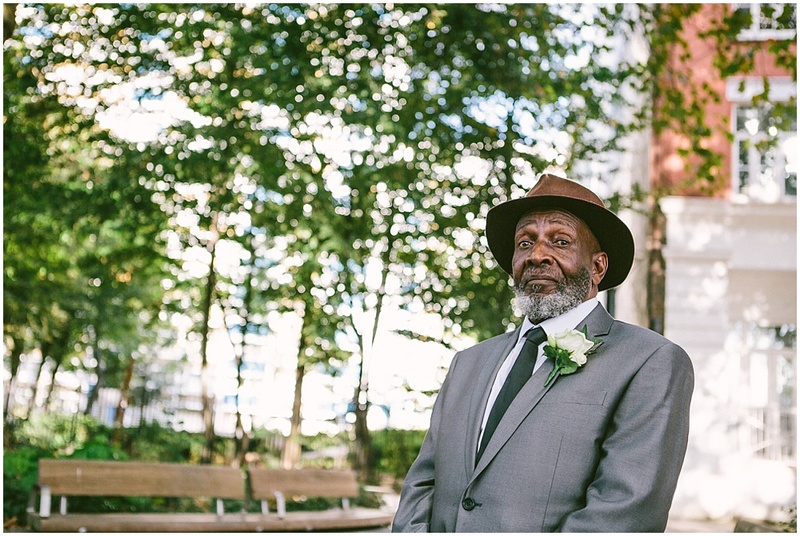 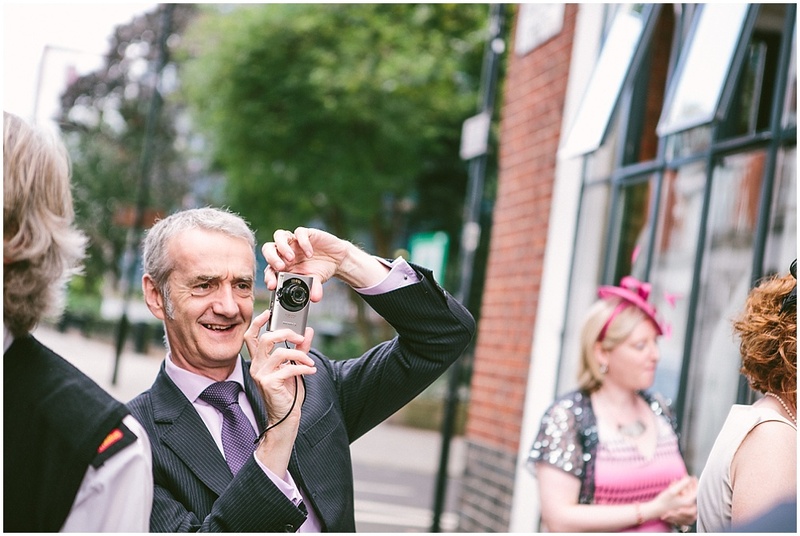 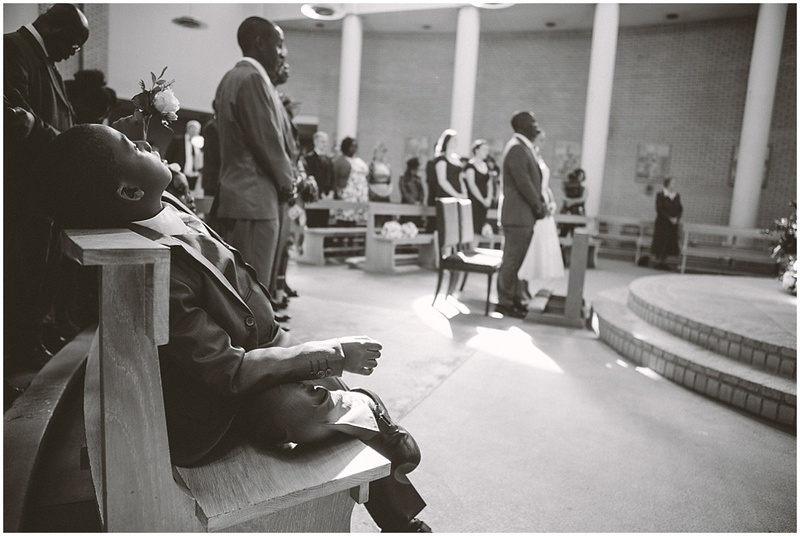 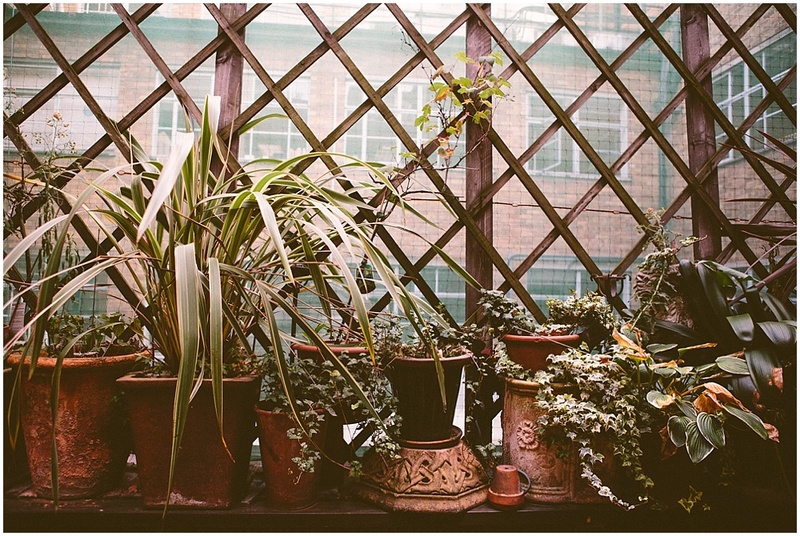 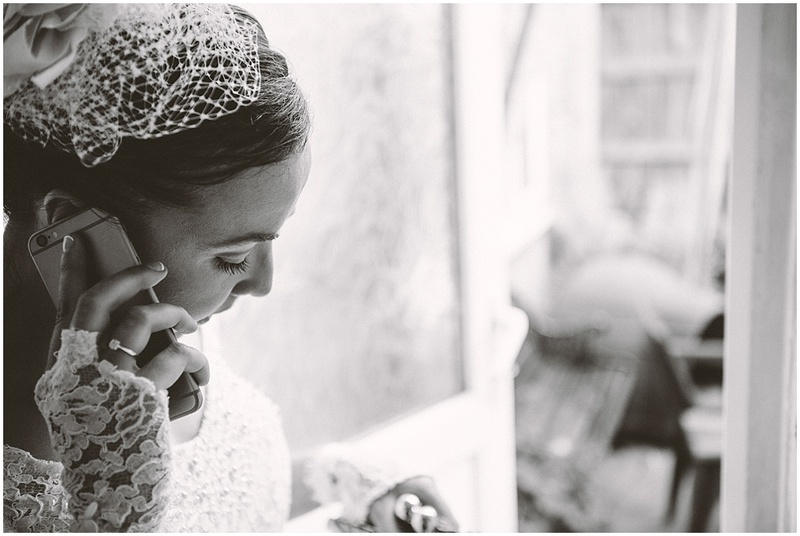 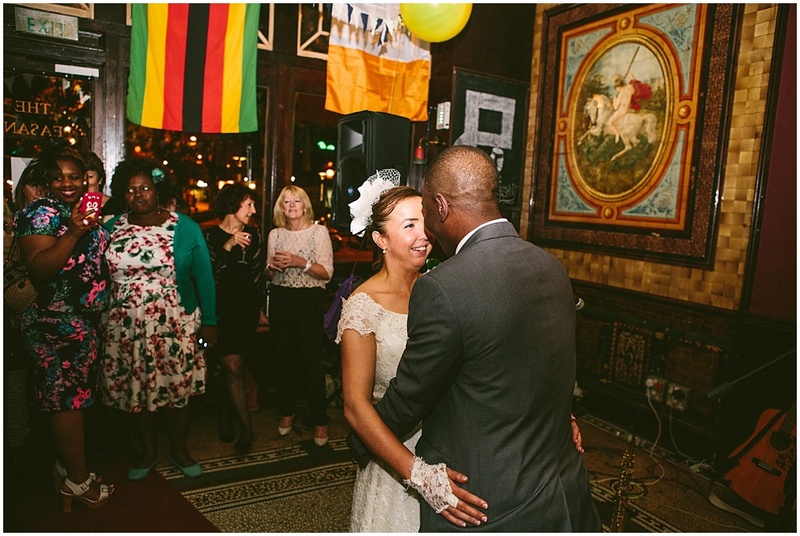 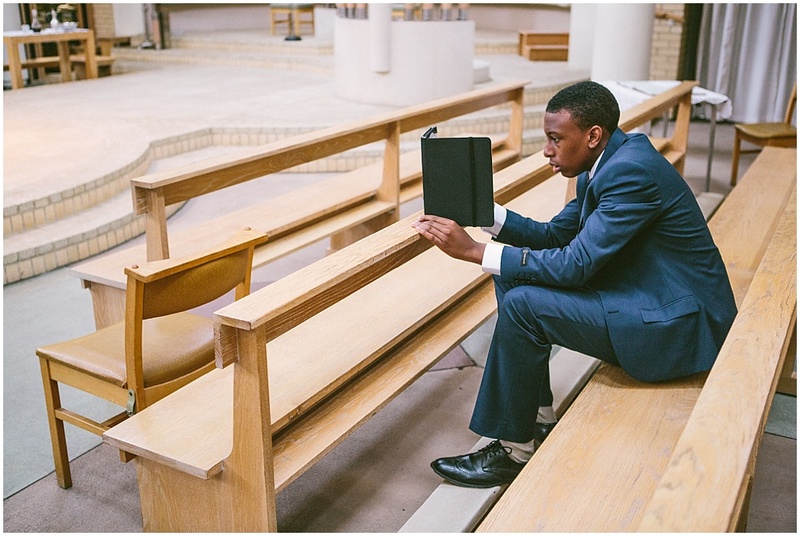 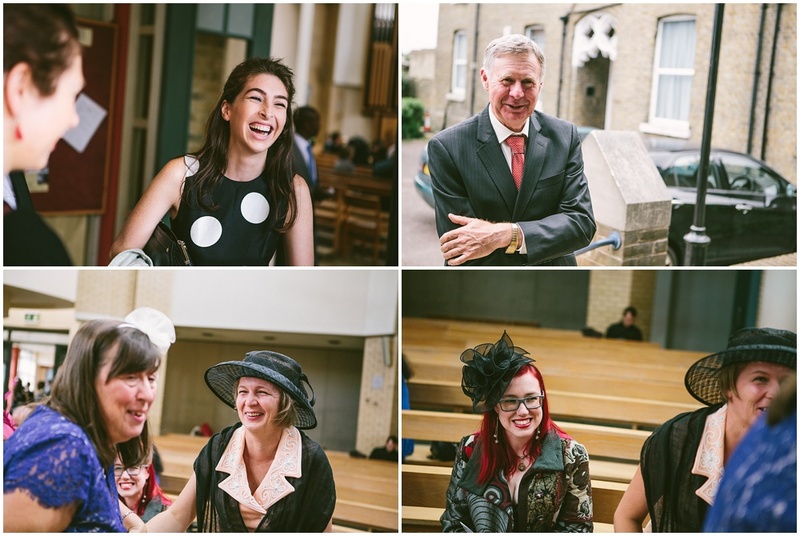 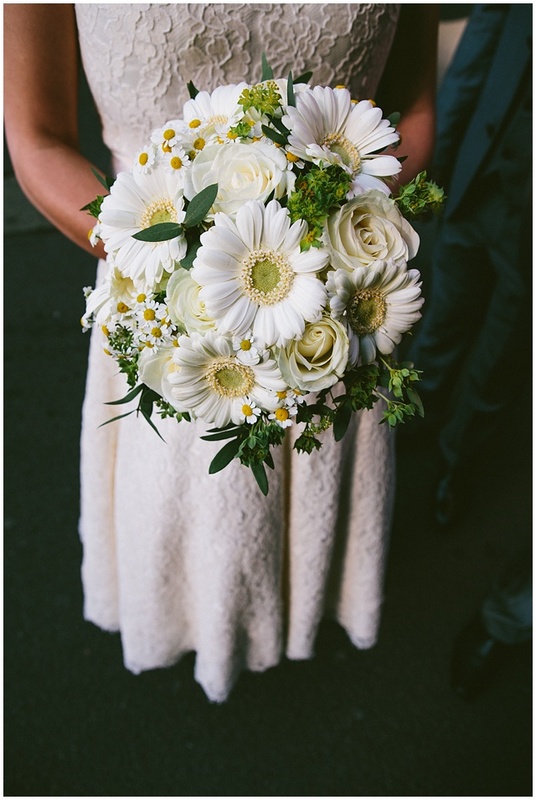 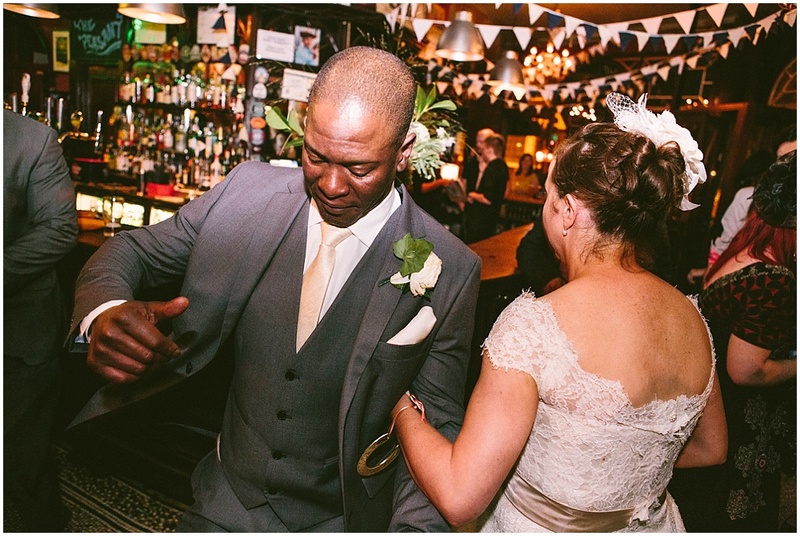 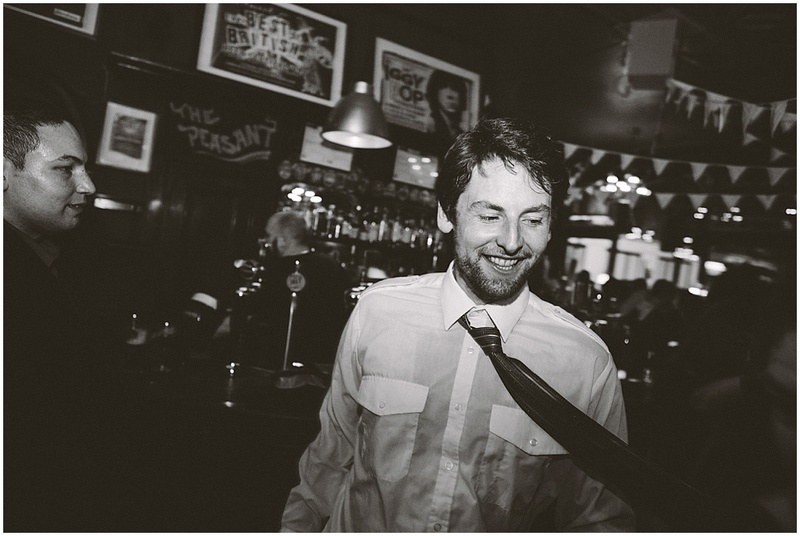 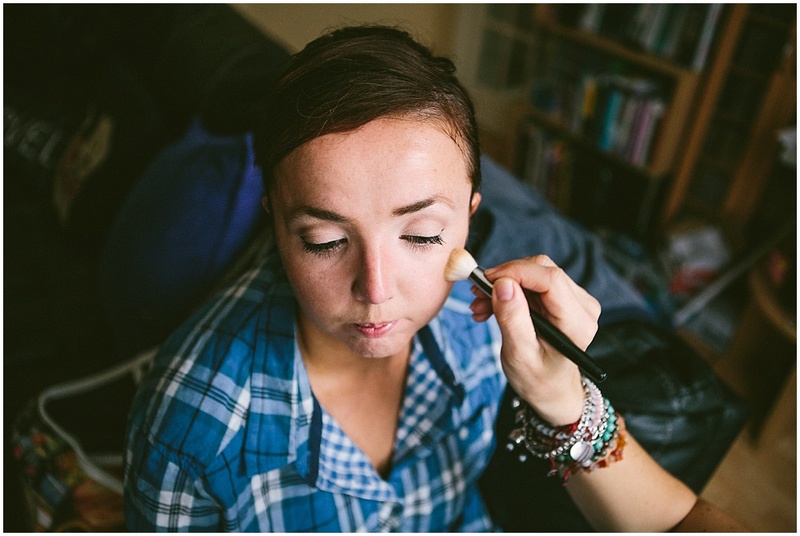 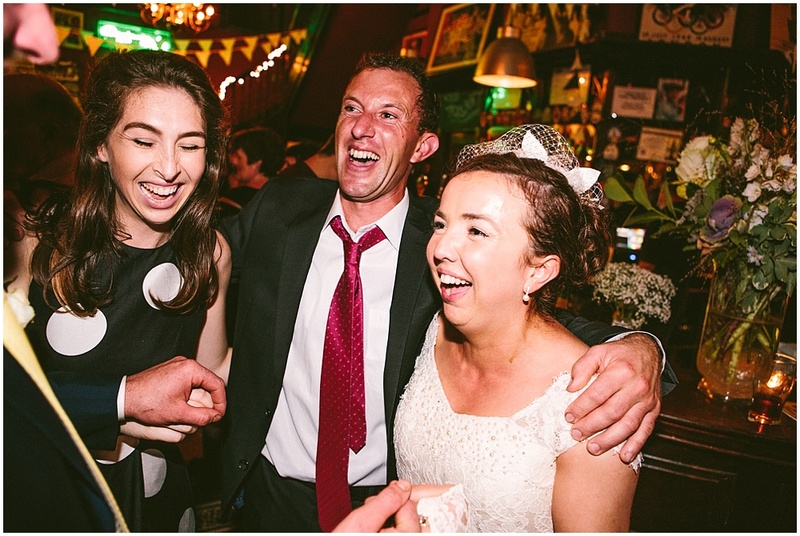 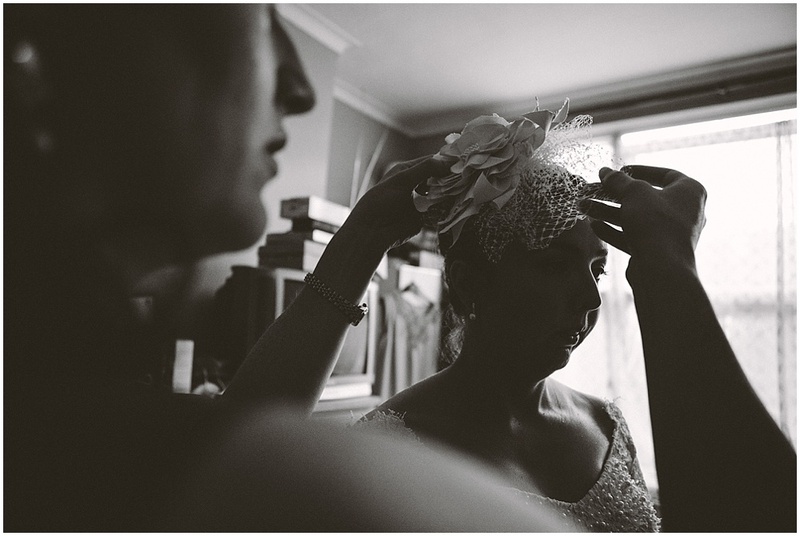 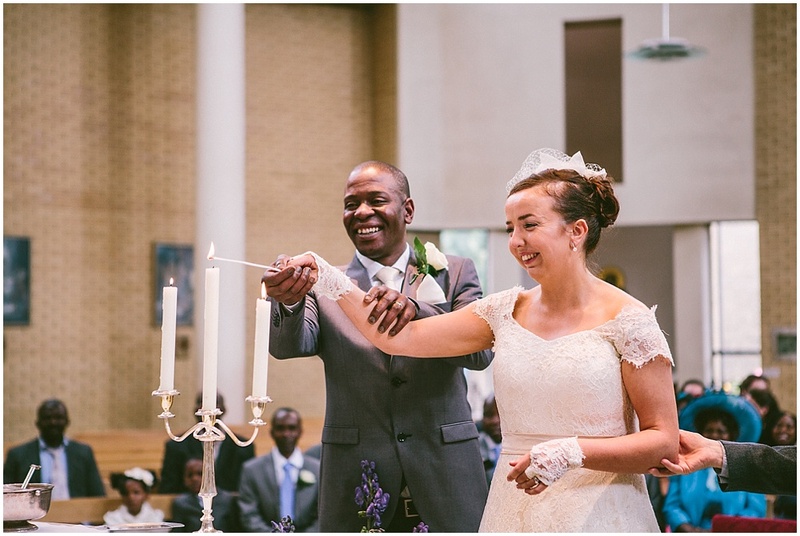 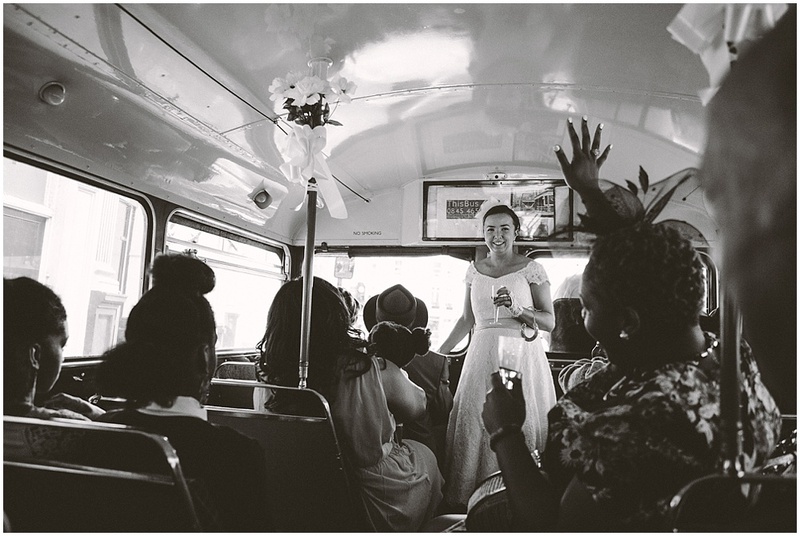 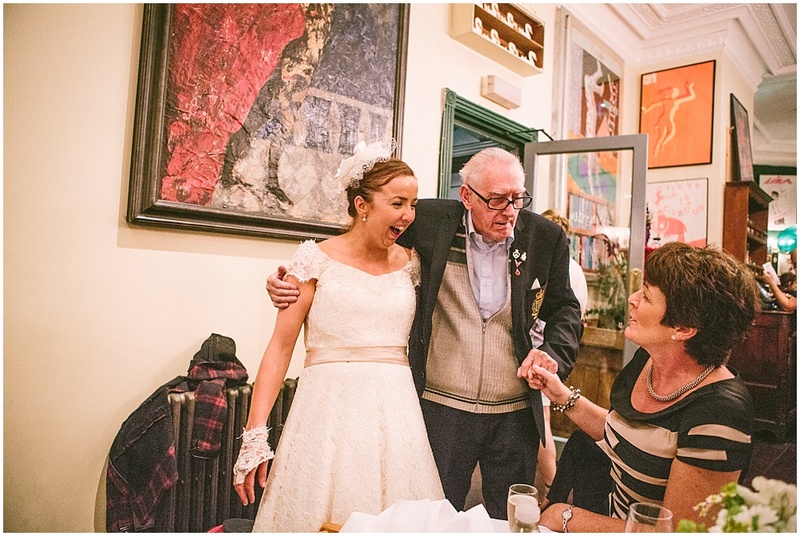 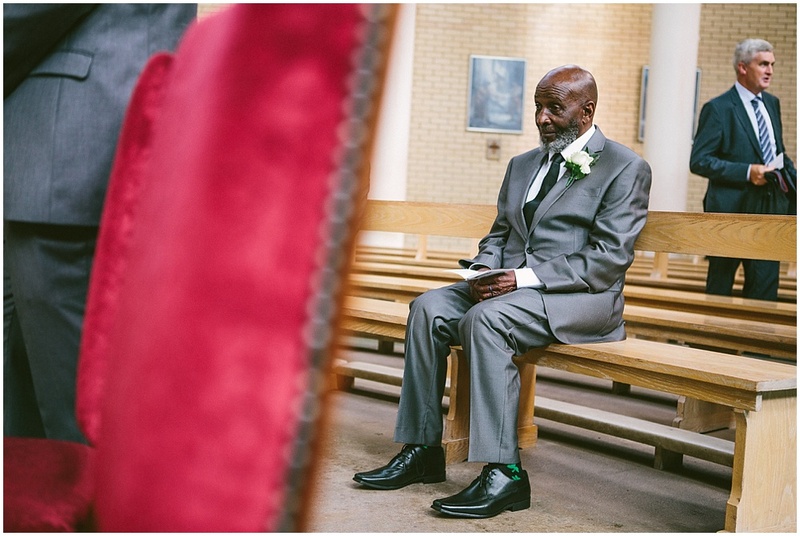 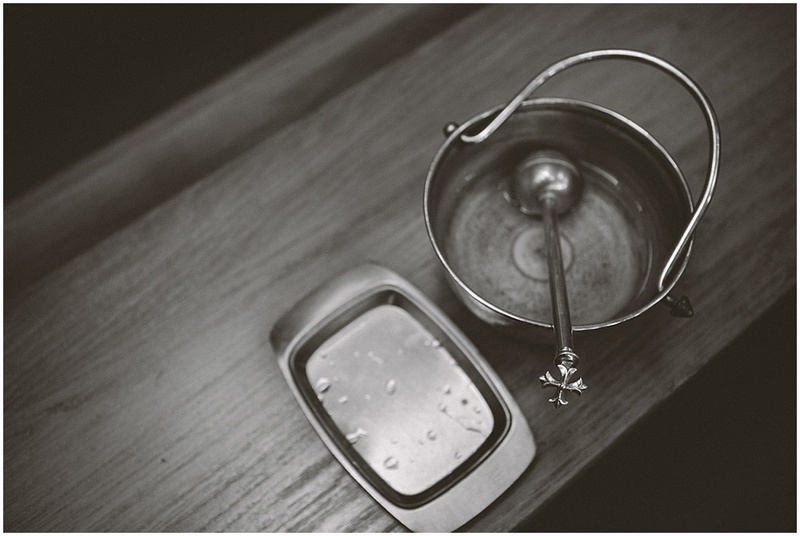 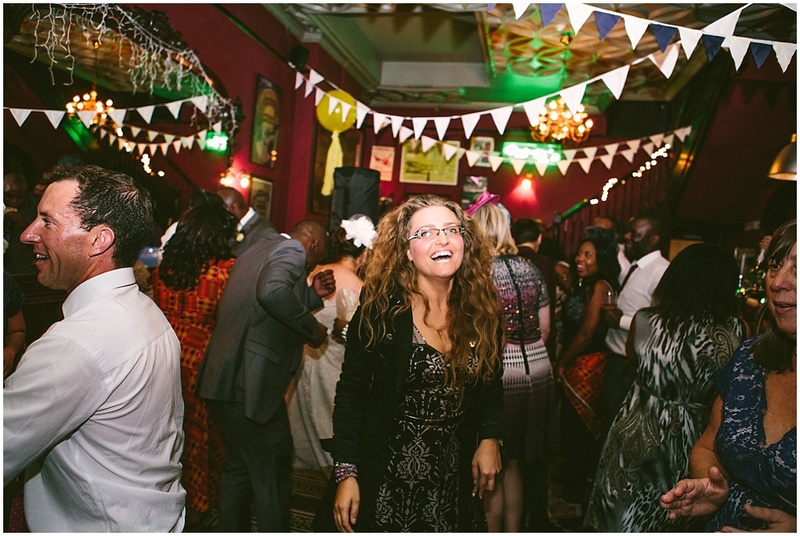 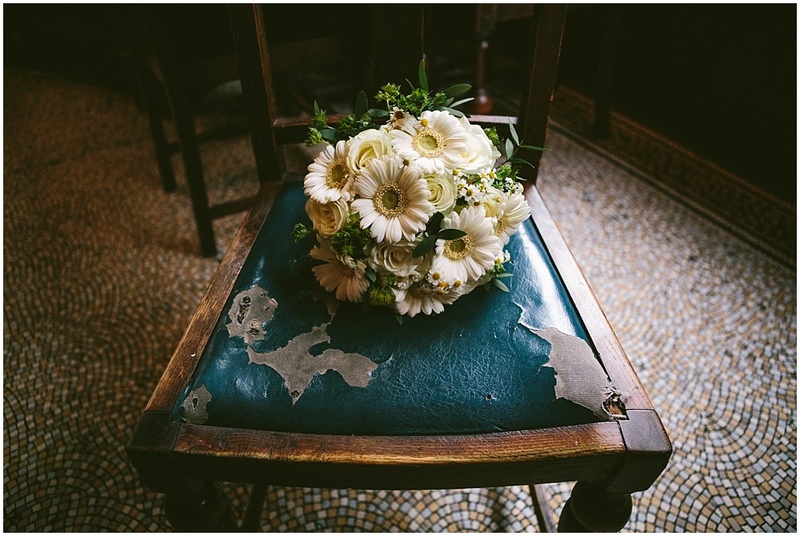 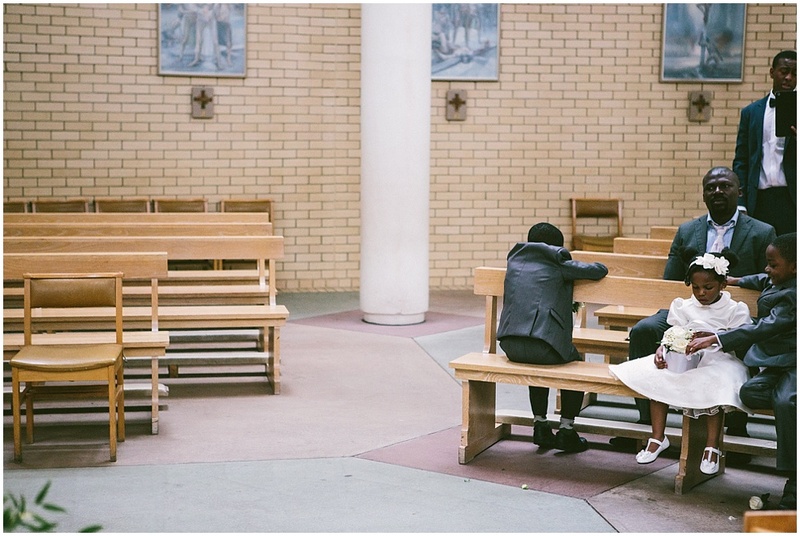 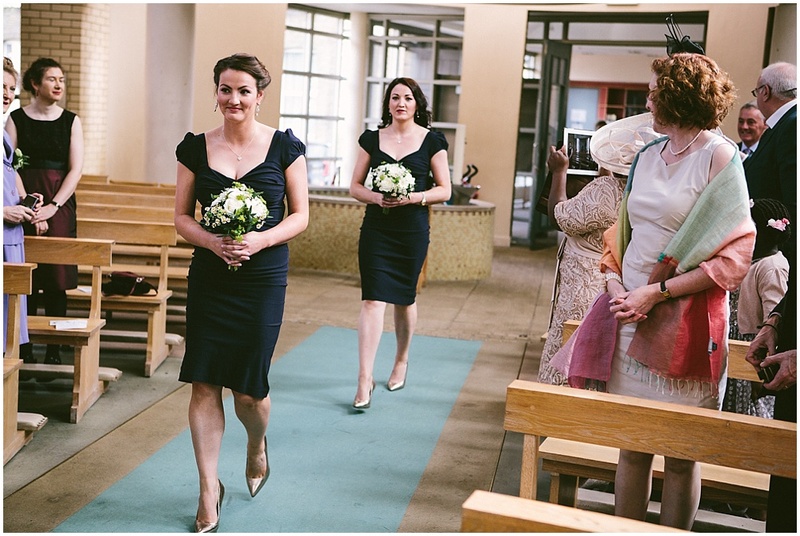 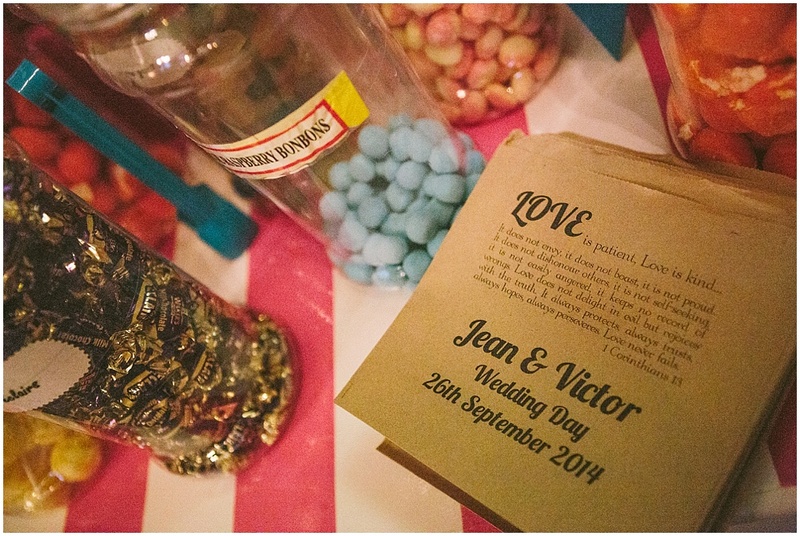 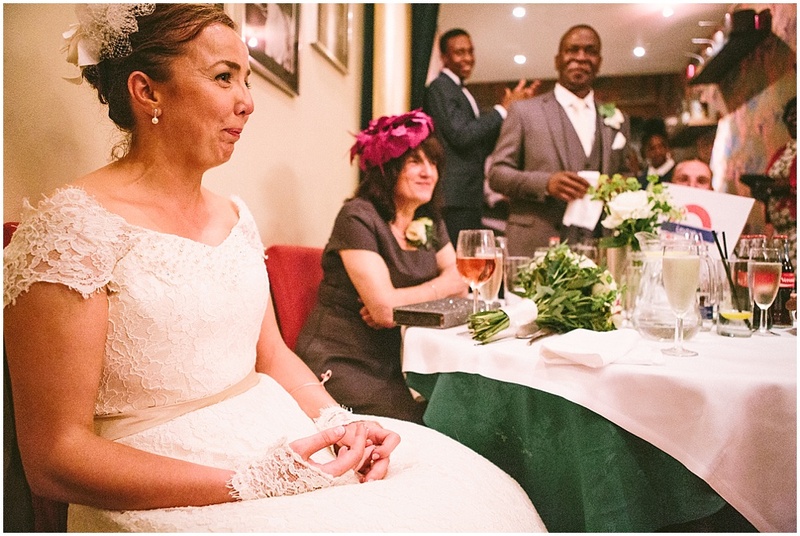 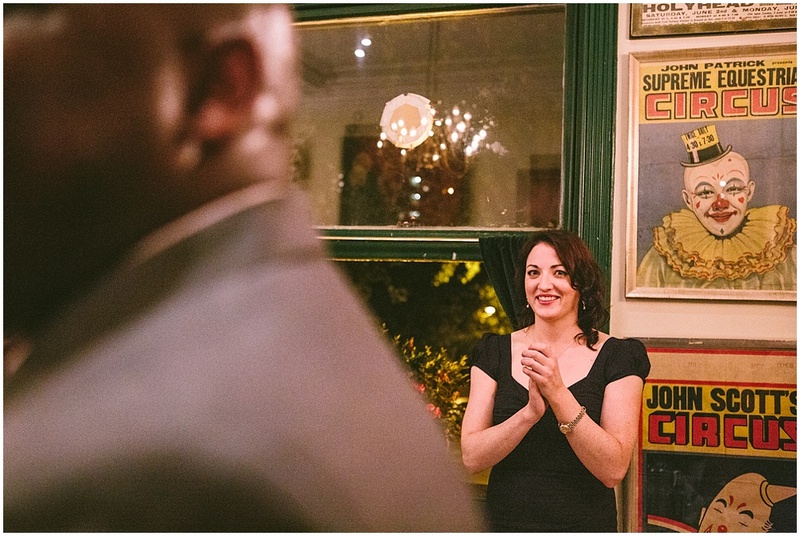 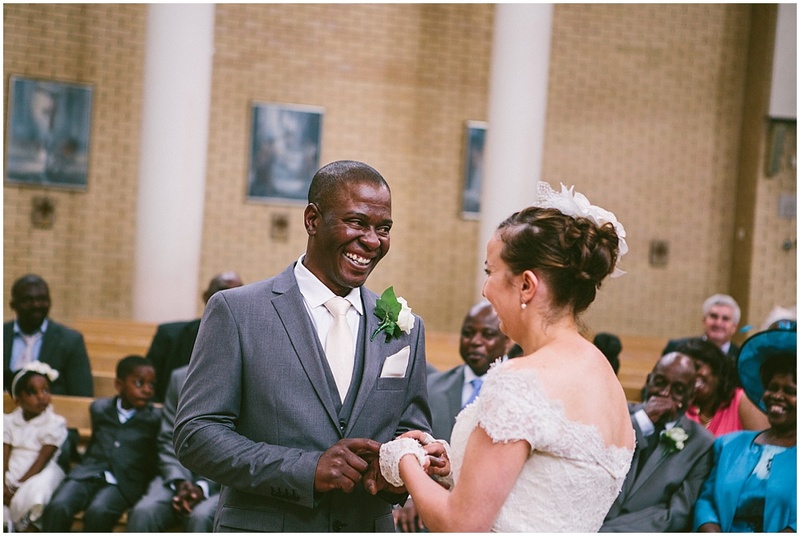 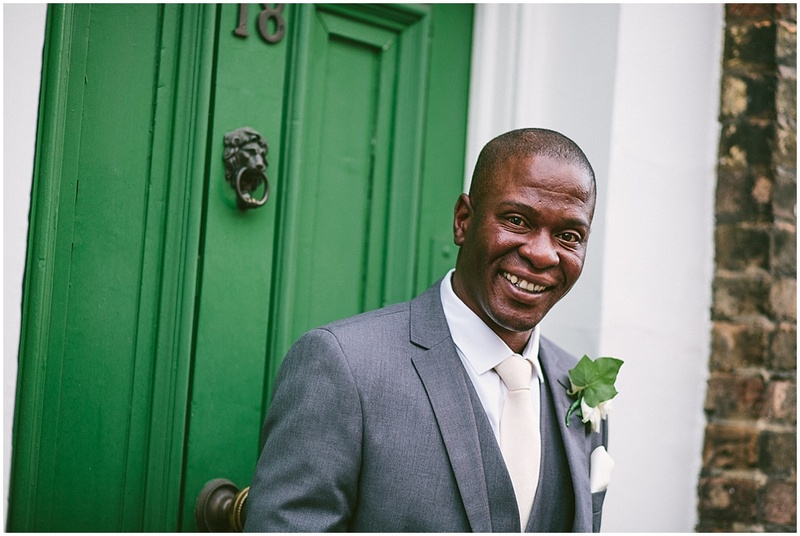 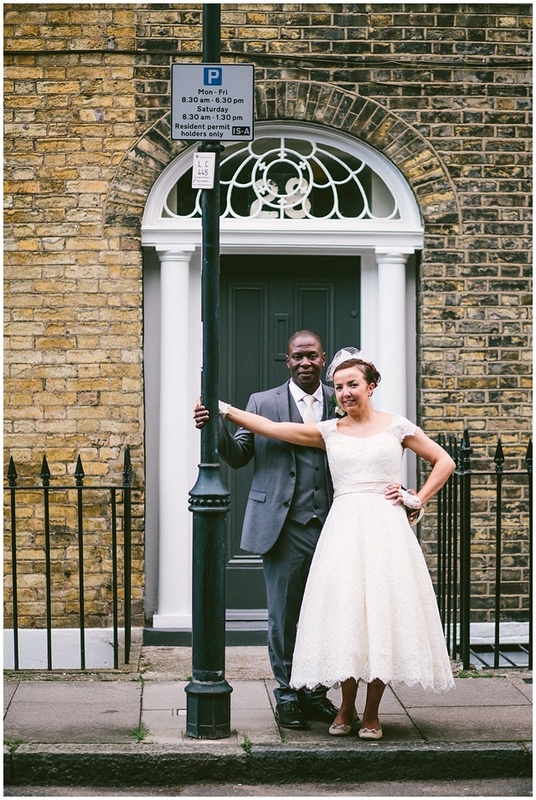 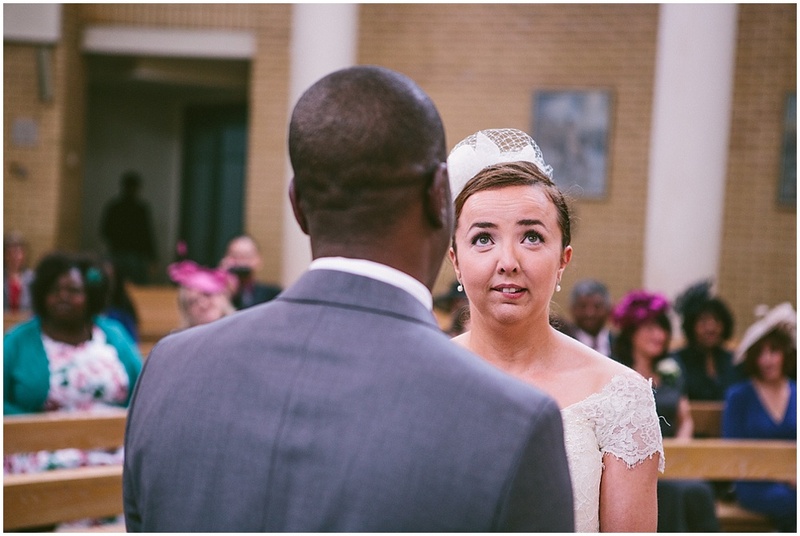 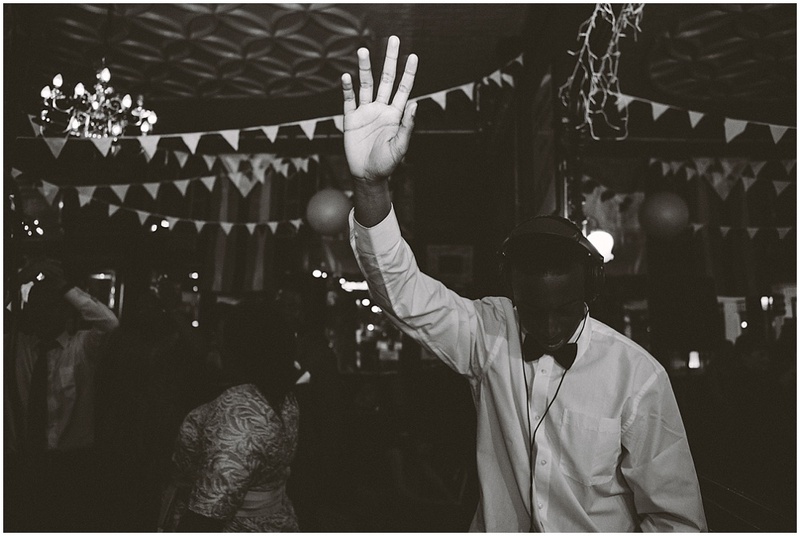 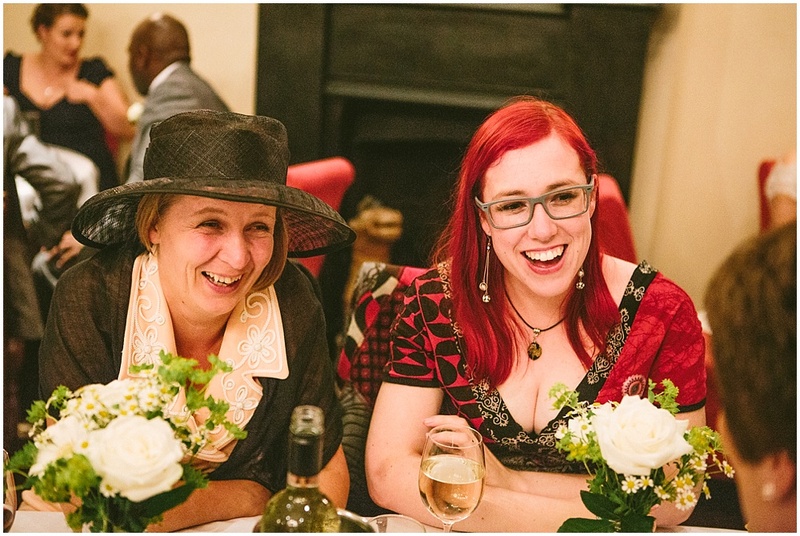 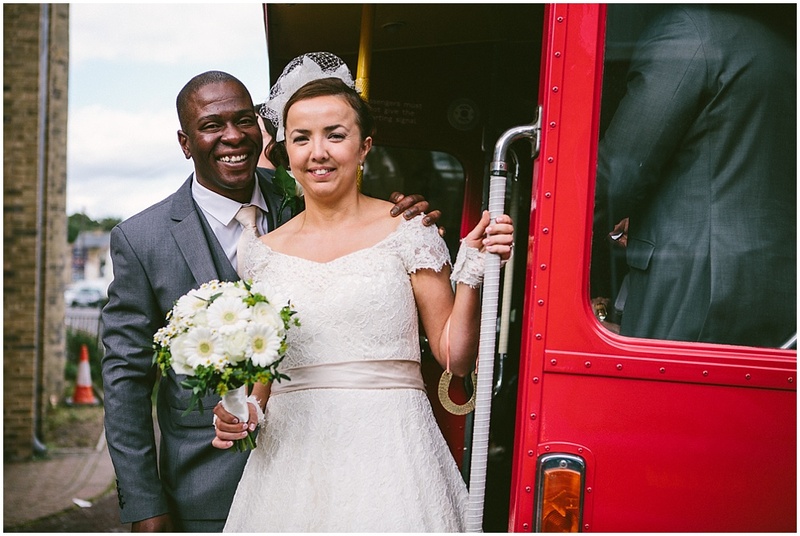 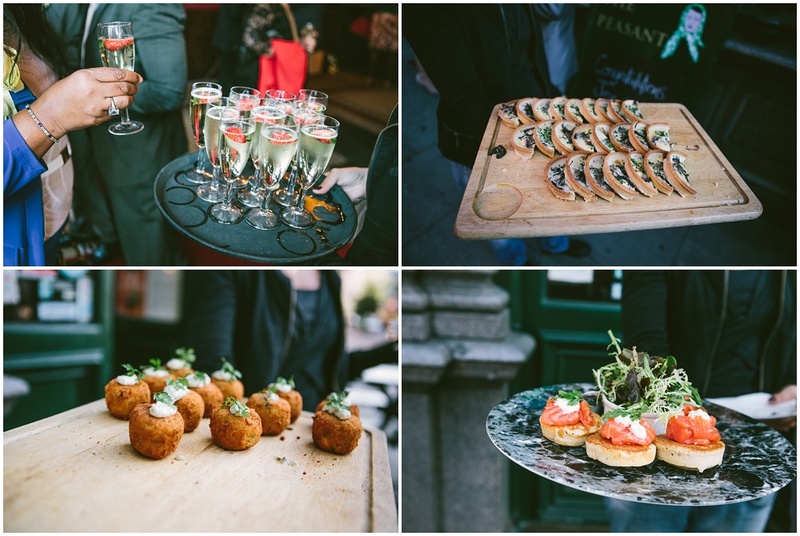 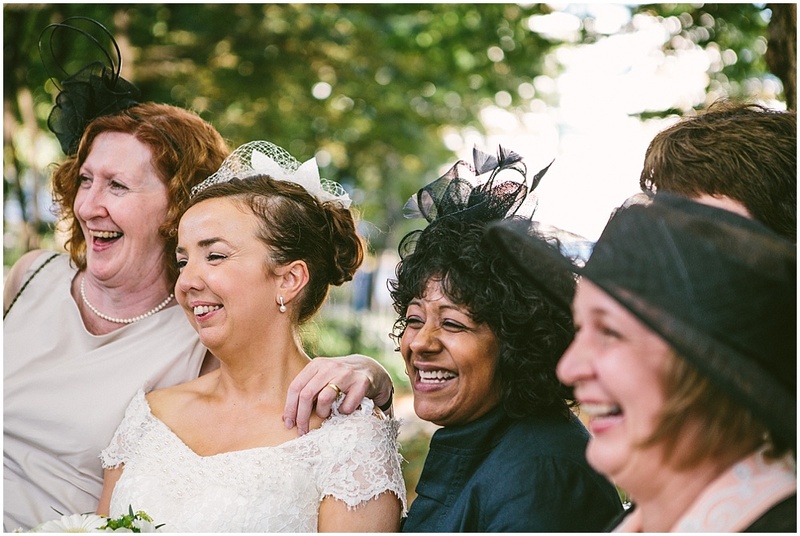 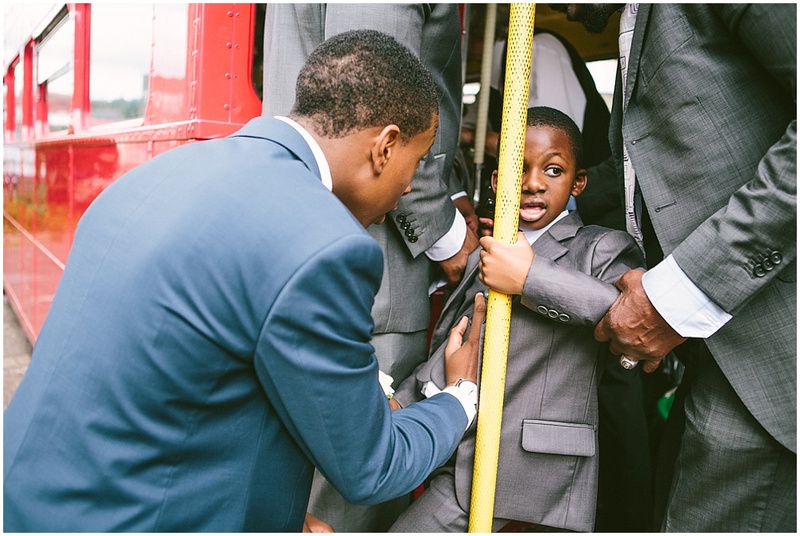 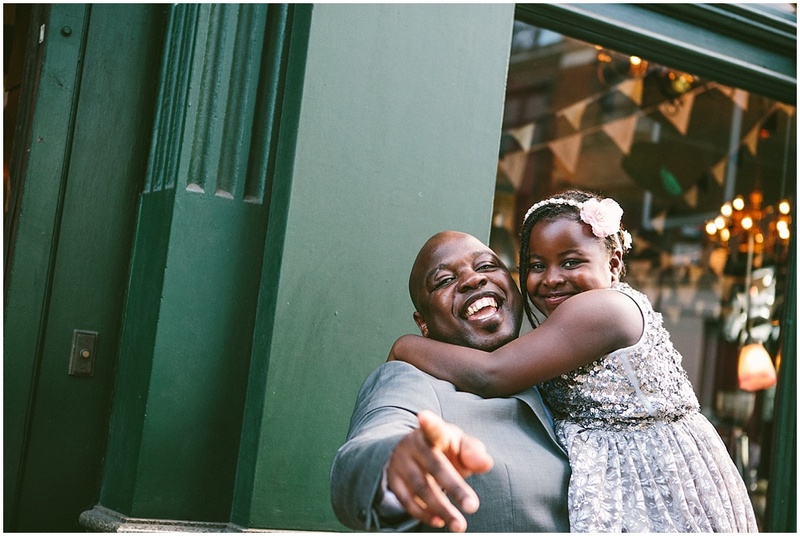 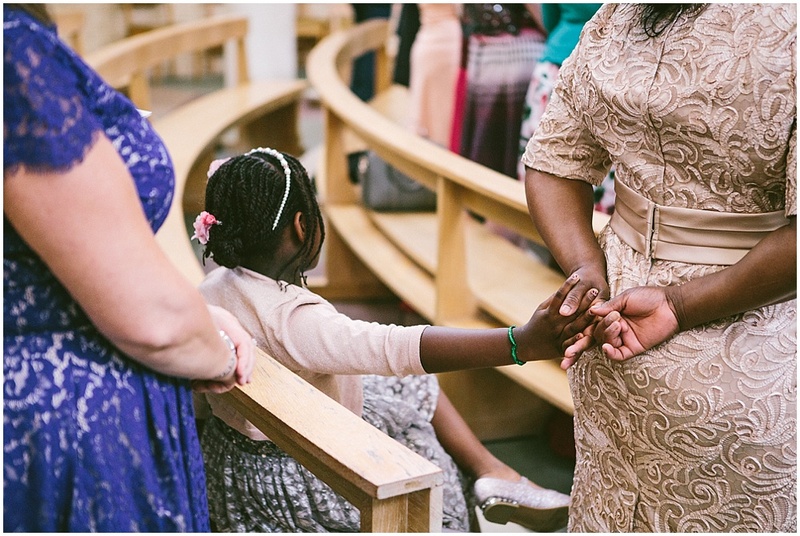 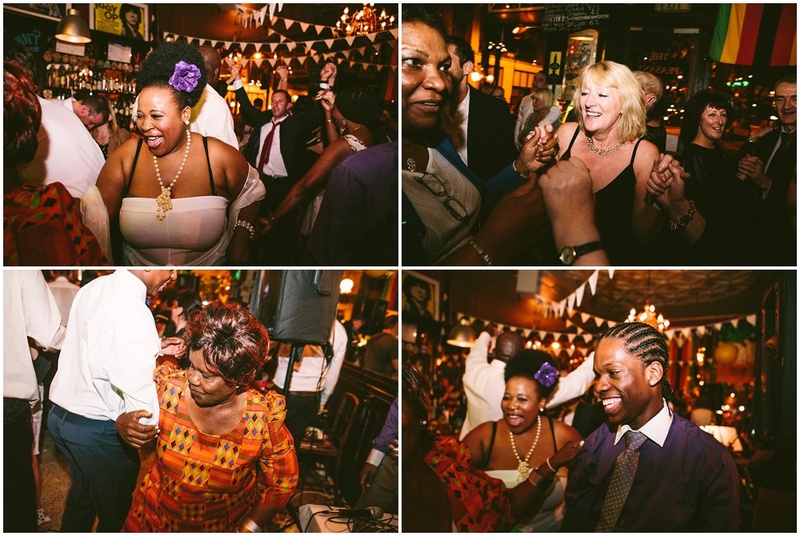 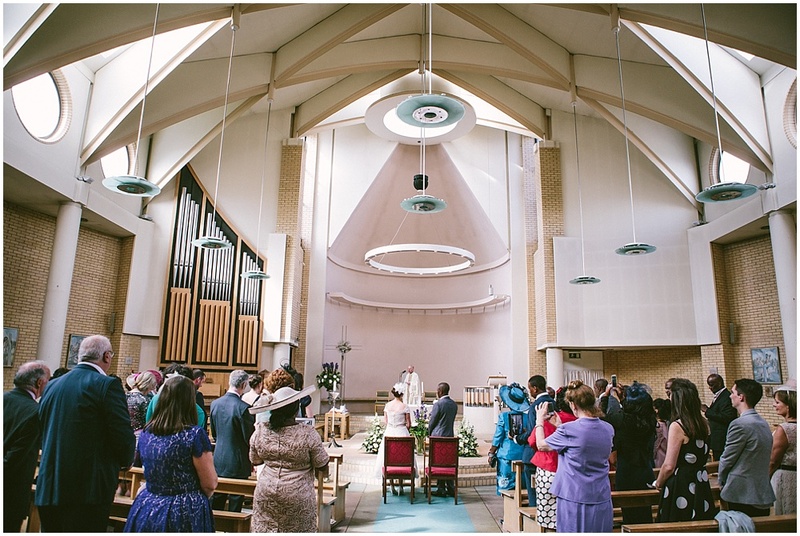 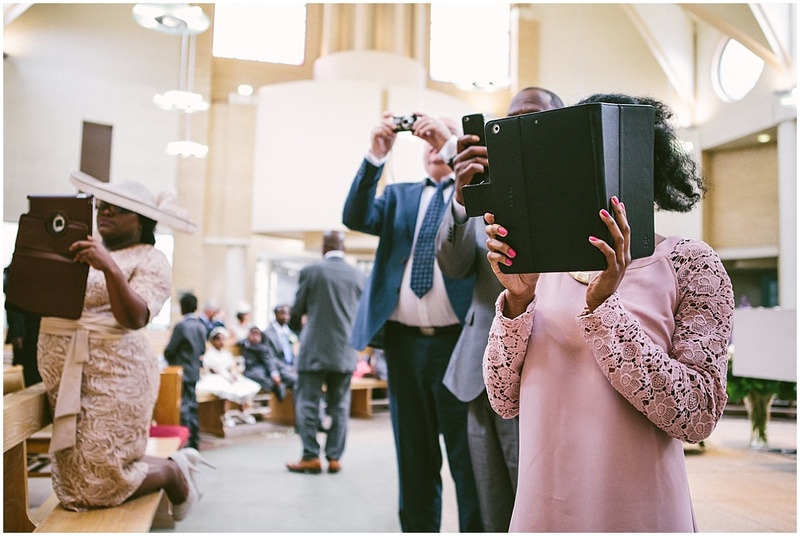 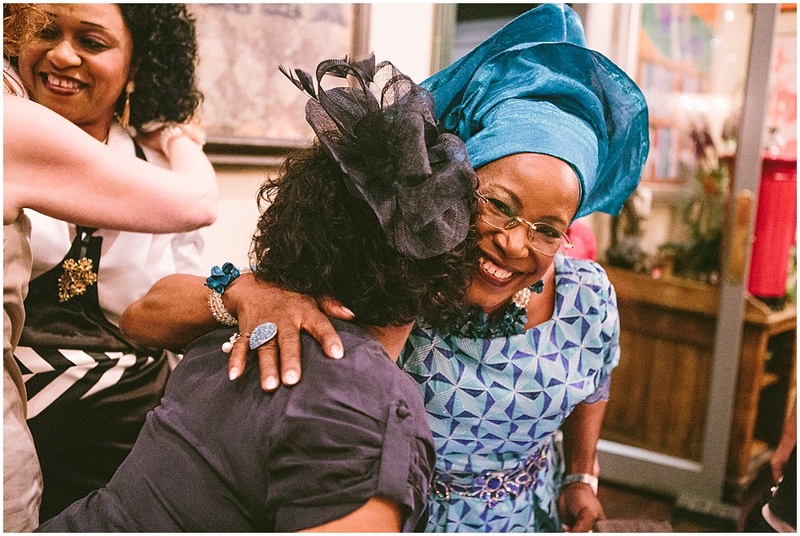 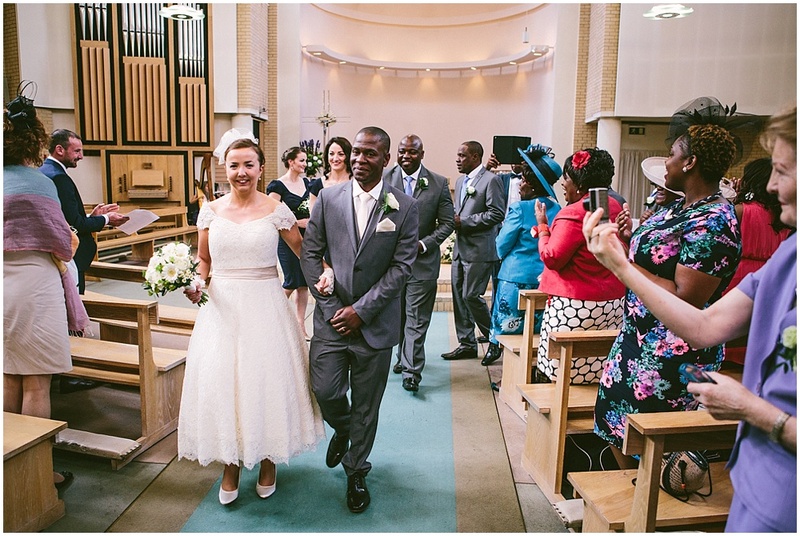 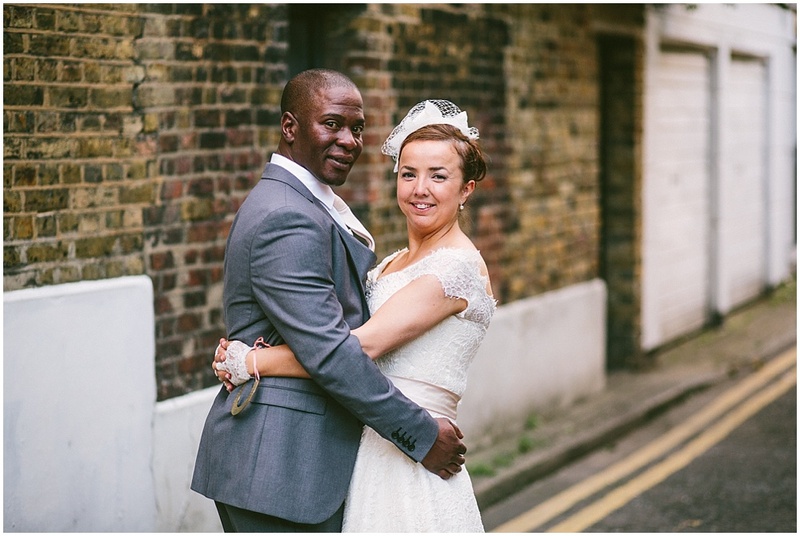 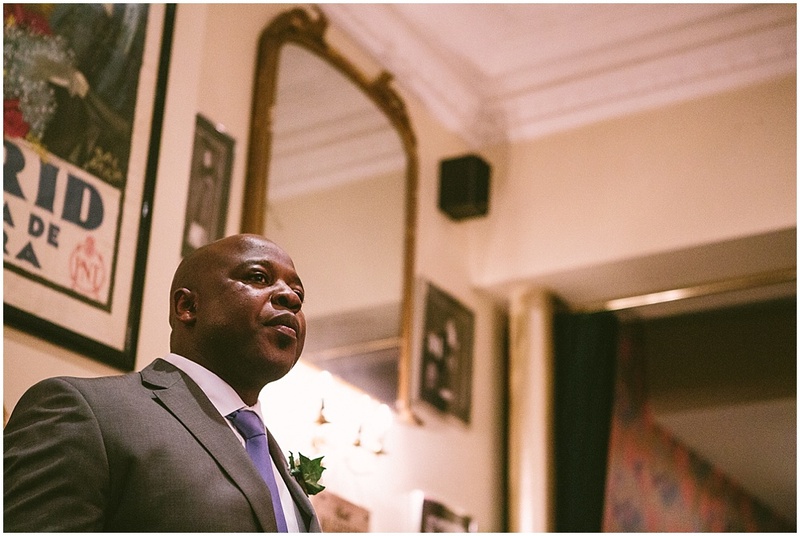 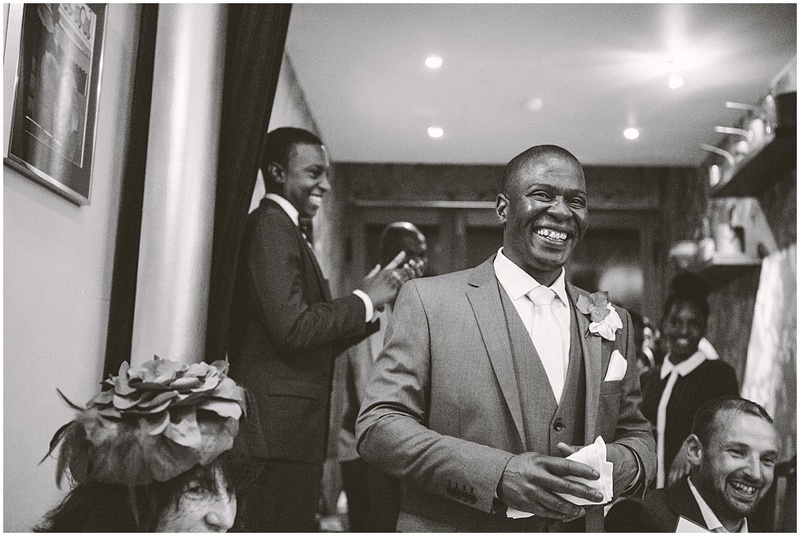 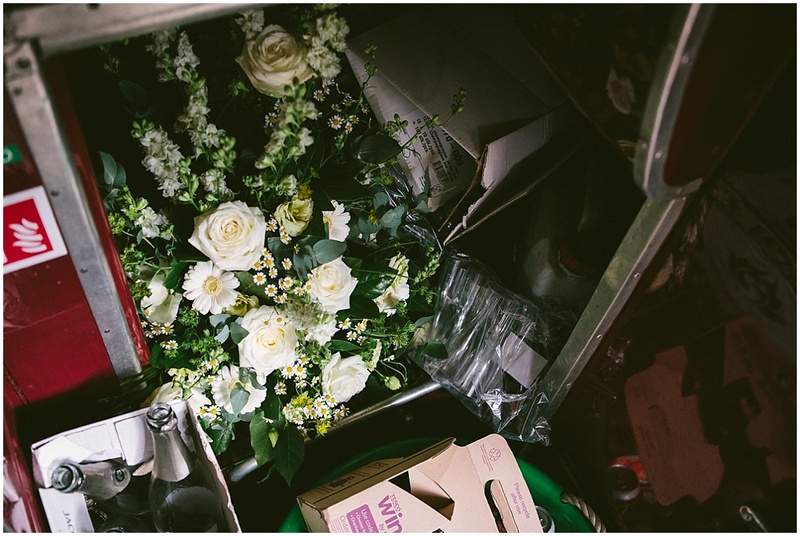 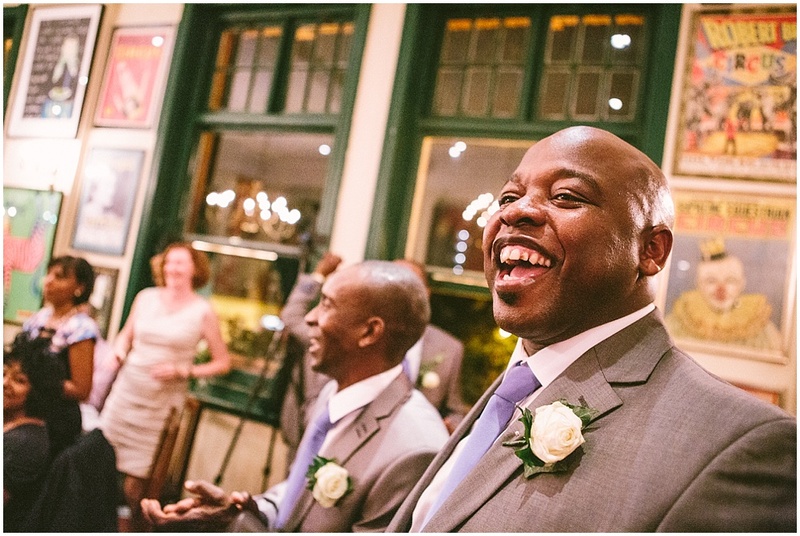 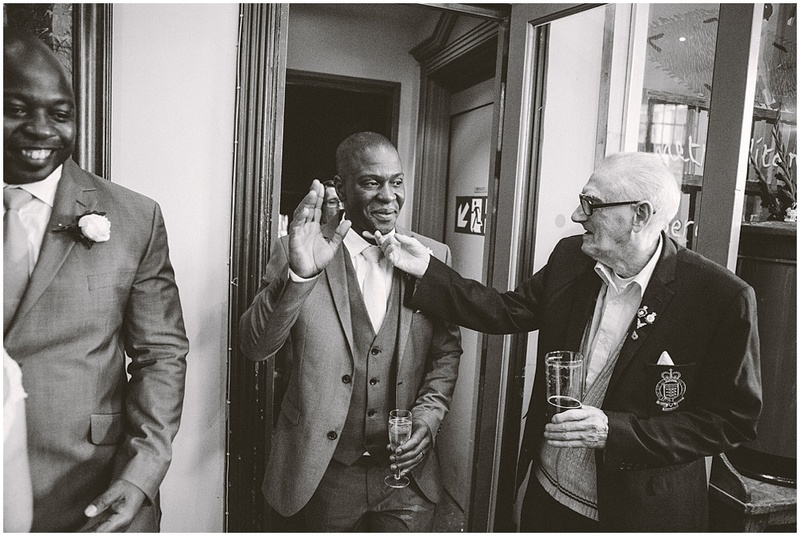 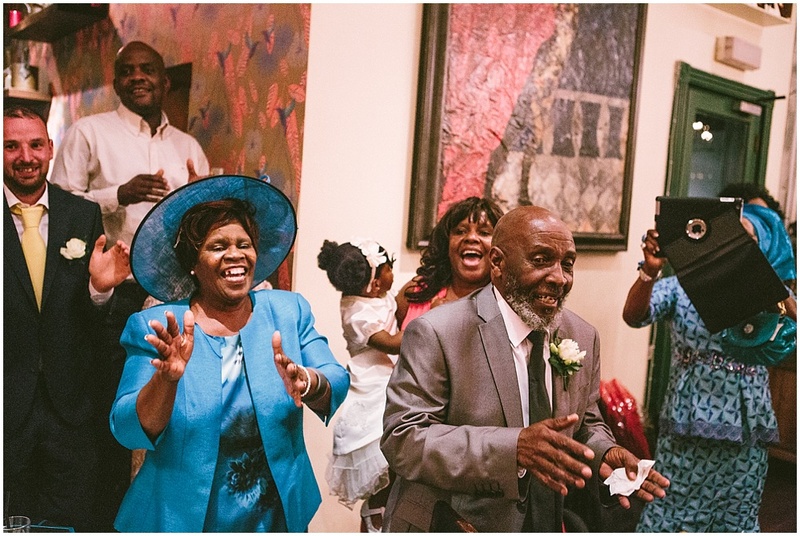 Victor and Jean's Irish and African Fusion Vintage Inspired Wedding in London. 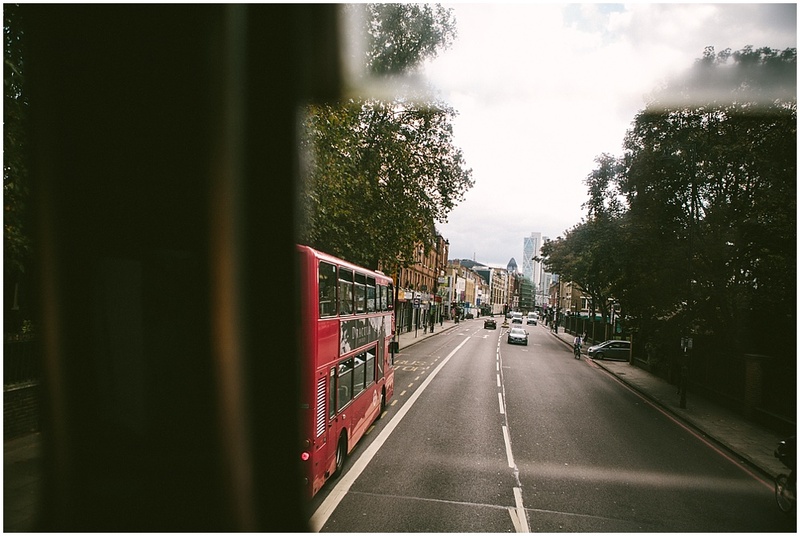 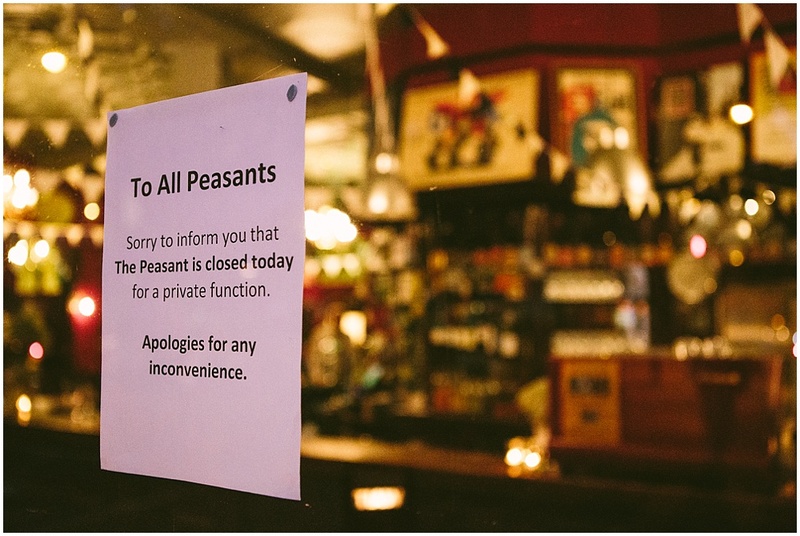 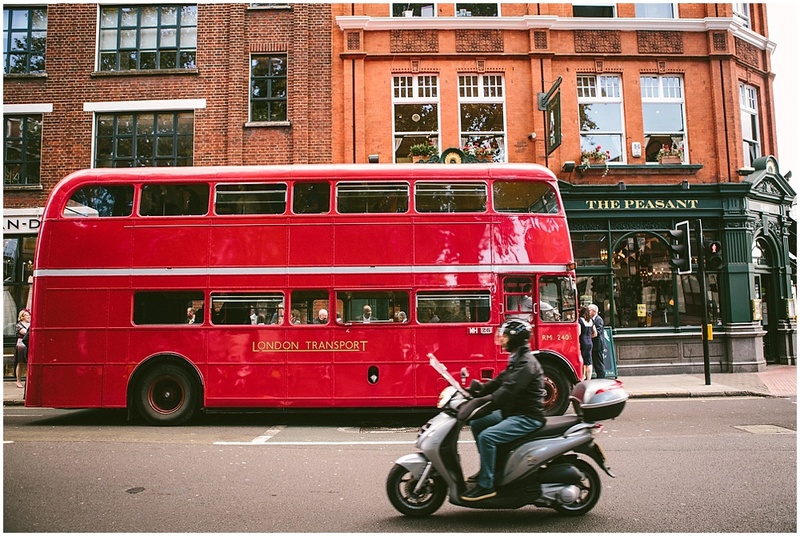 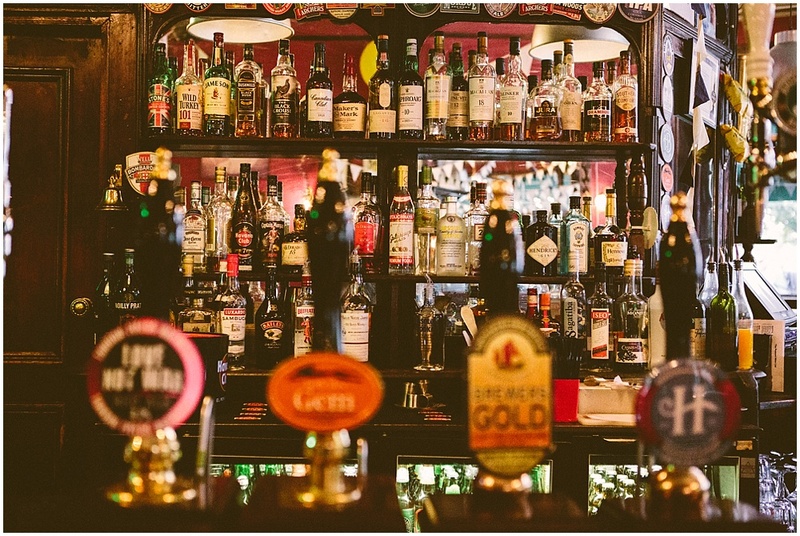 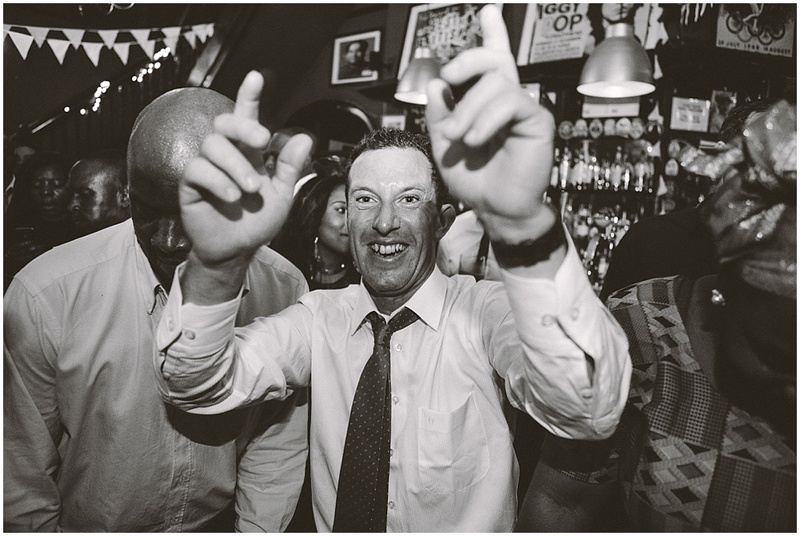 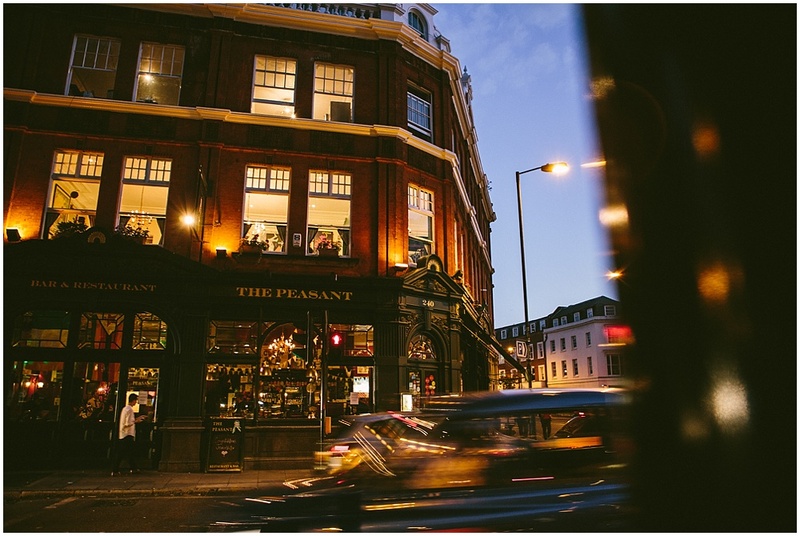 after which the whole party headed off in a classic double decker London bus into Central London, where their party kicked off at The Peasant. 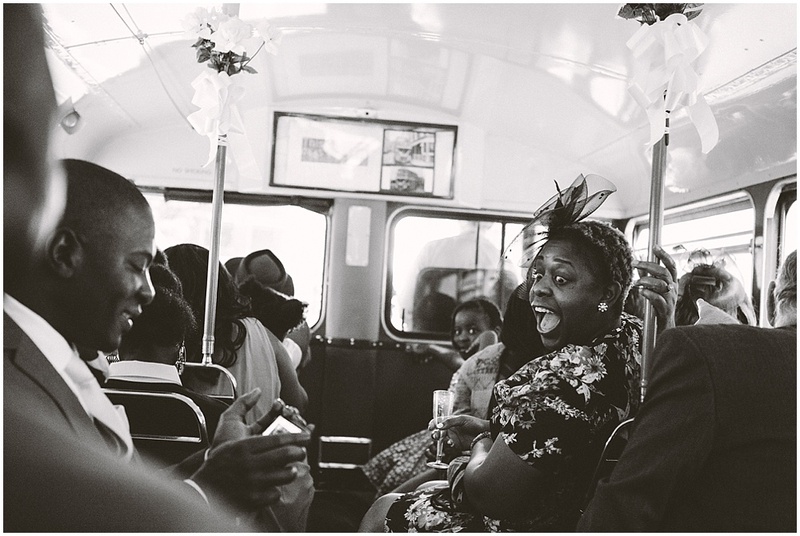 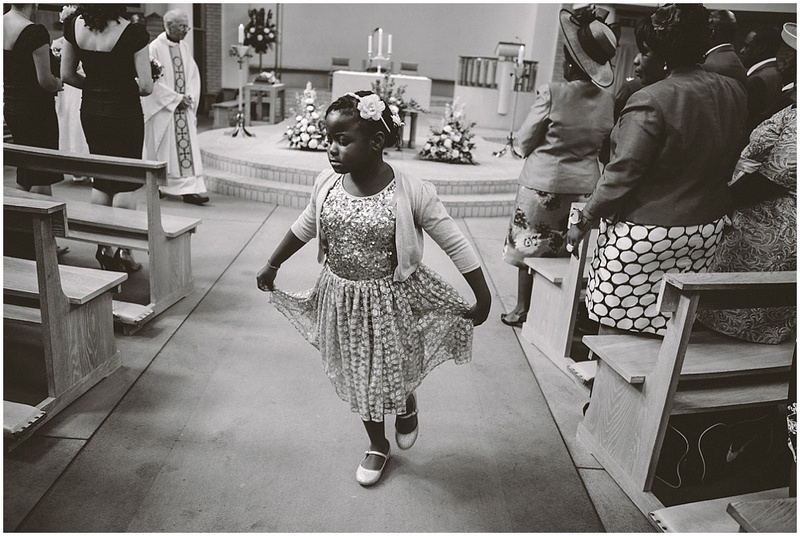 I was so privileged to be able to document this day! 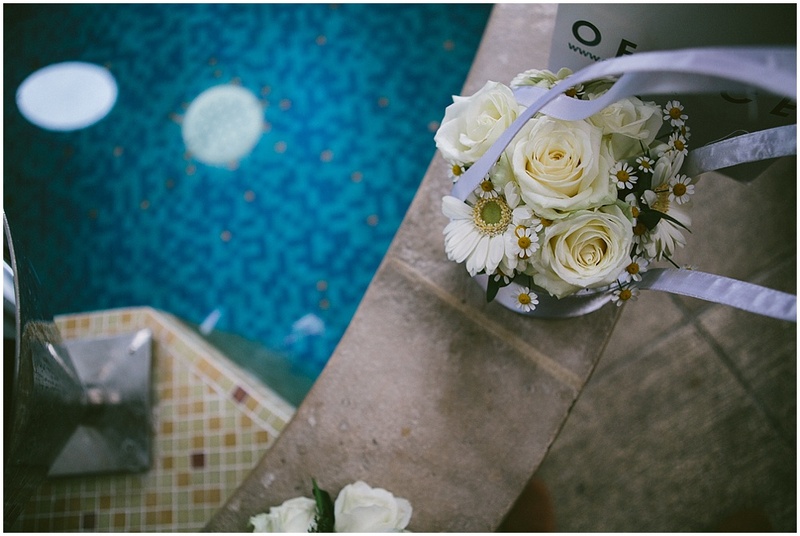 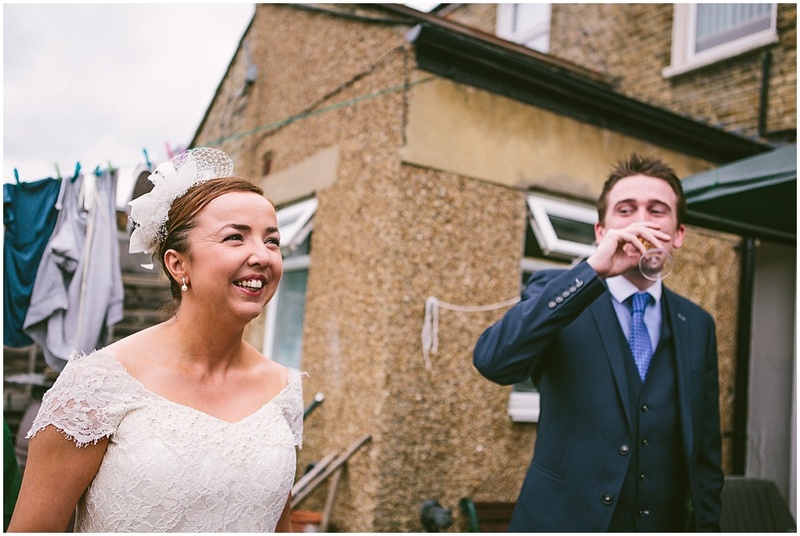 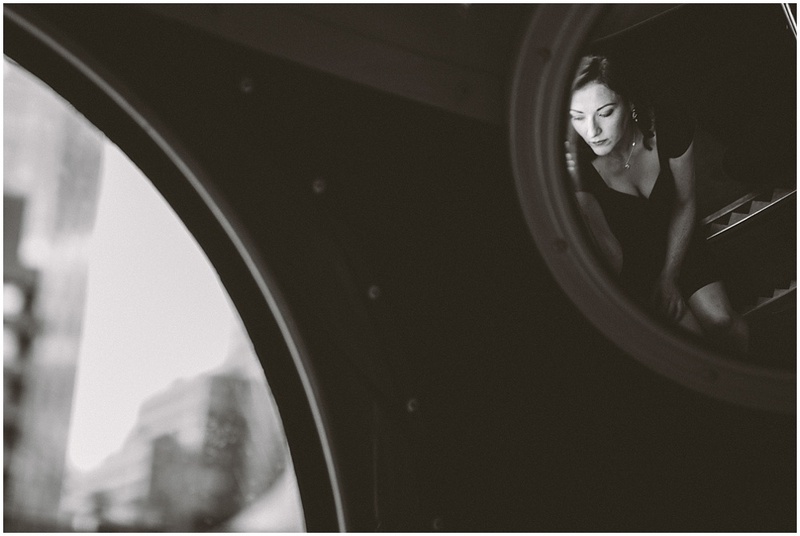 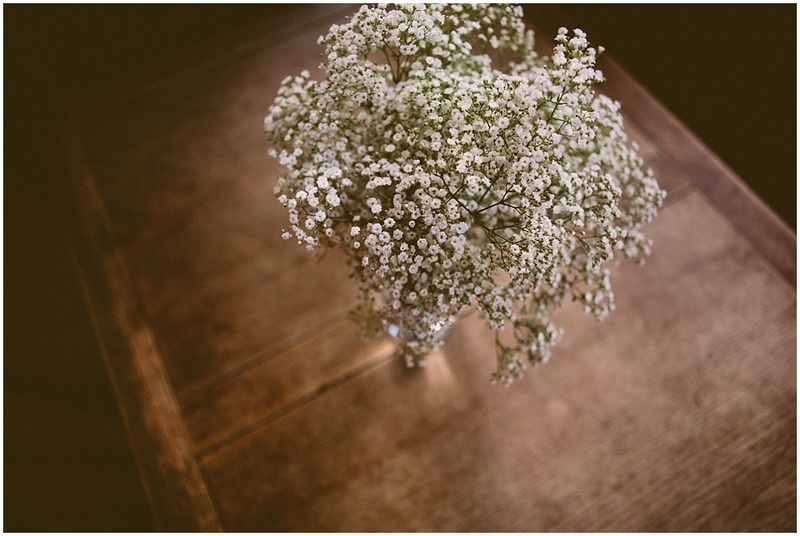 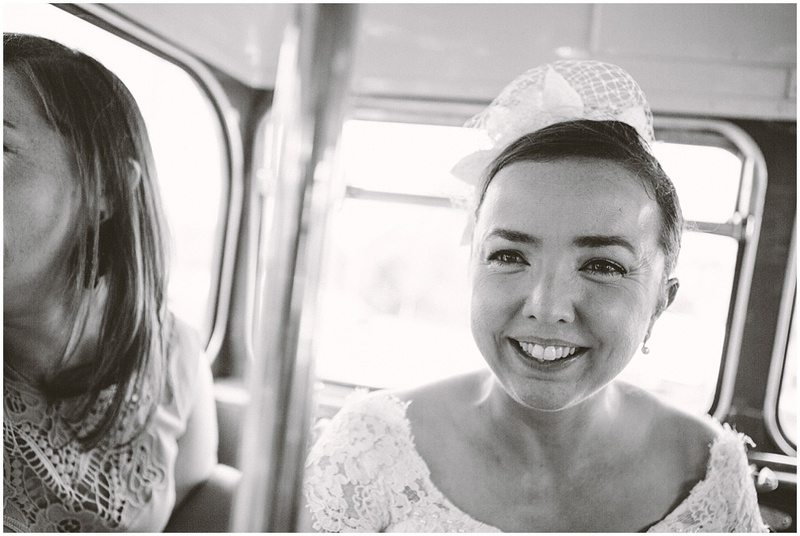 To fit their vintage theme, this wedding has been edited in a vintage style, which I loved using. 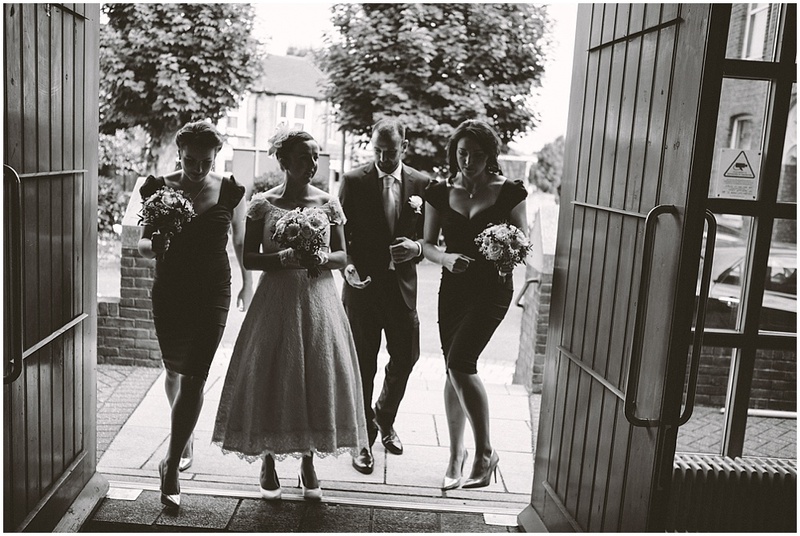 I fell a little in love with sepia during it! 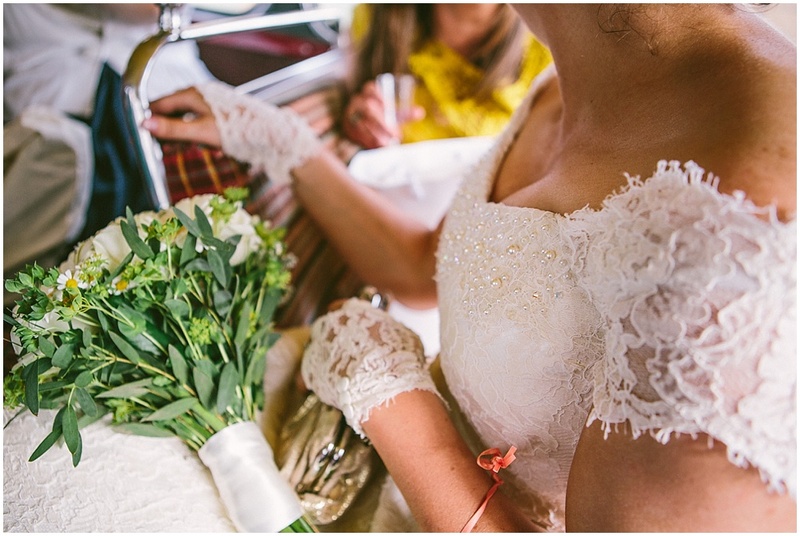 Jean's beautiful tea length wedding dress and matching accessories including headpiece and lace gloves were all handmade by her mother. 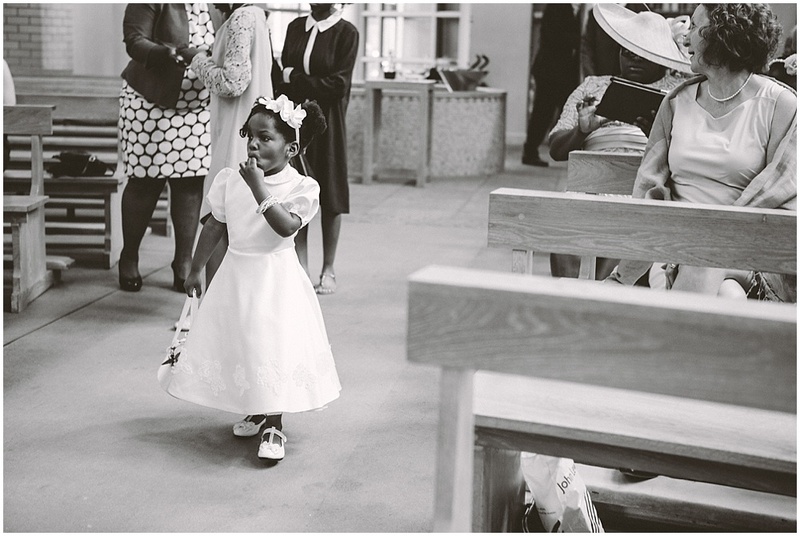 And she made her own outfit too. 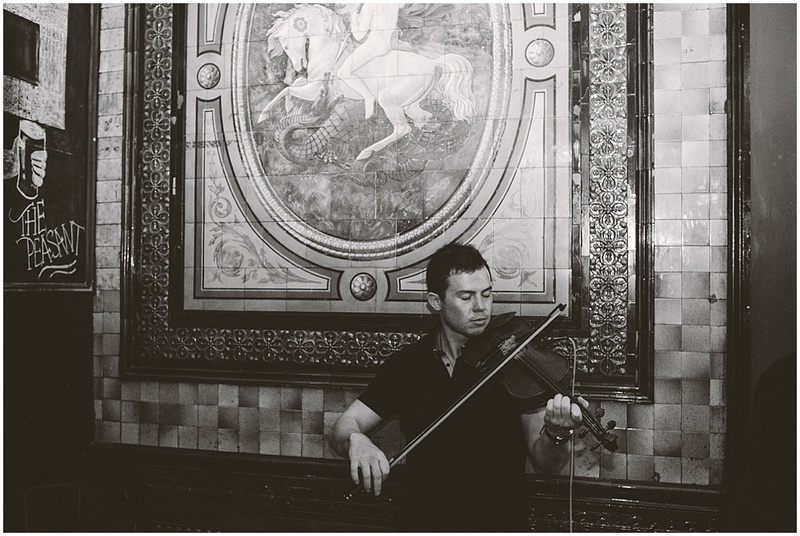 I can't believe the talent! 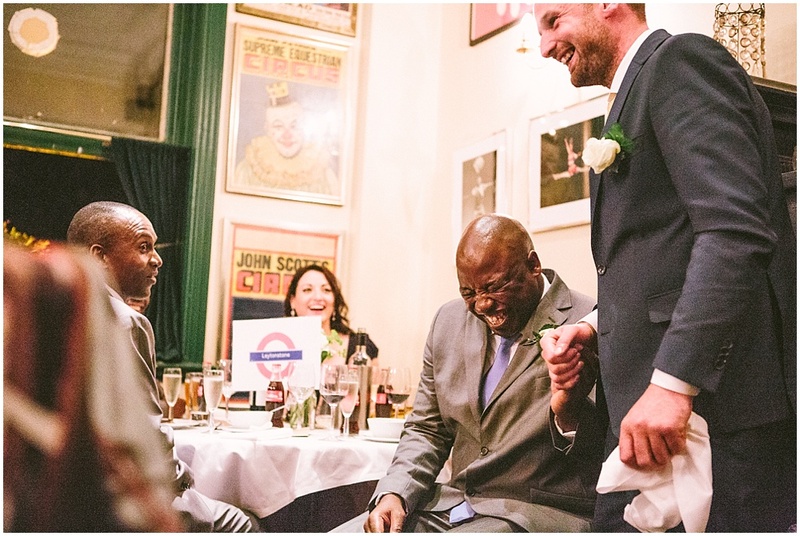 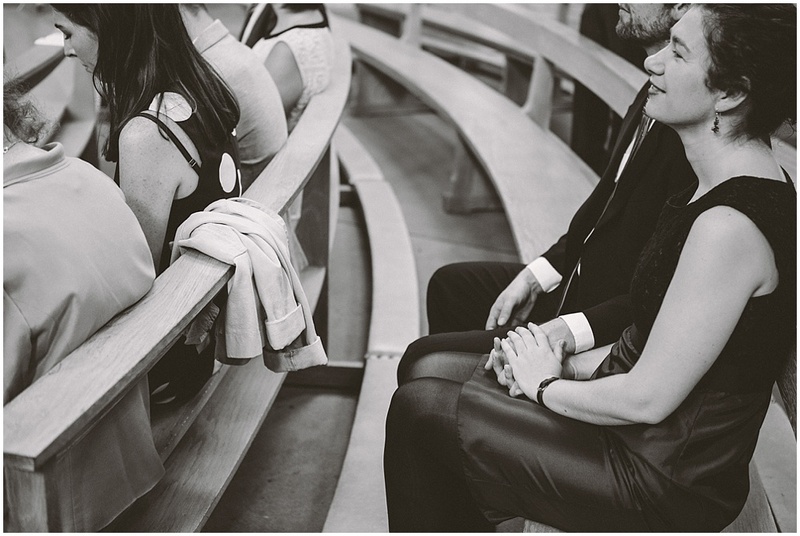 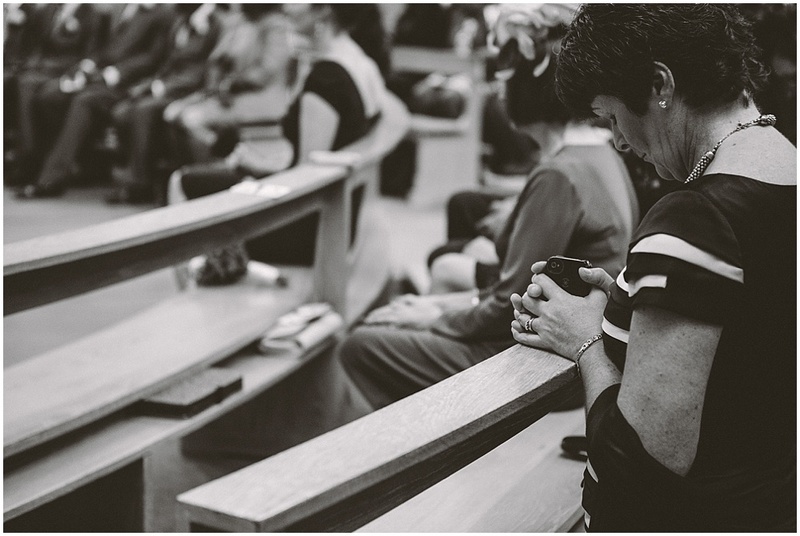 I was lucky in this ceremony as it was quite a long one, and I was given freedom to move around the room, which allowed lots of time and opportunity for candid photos, as you will see a few examples of below. 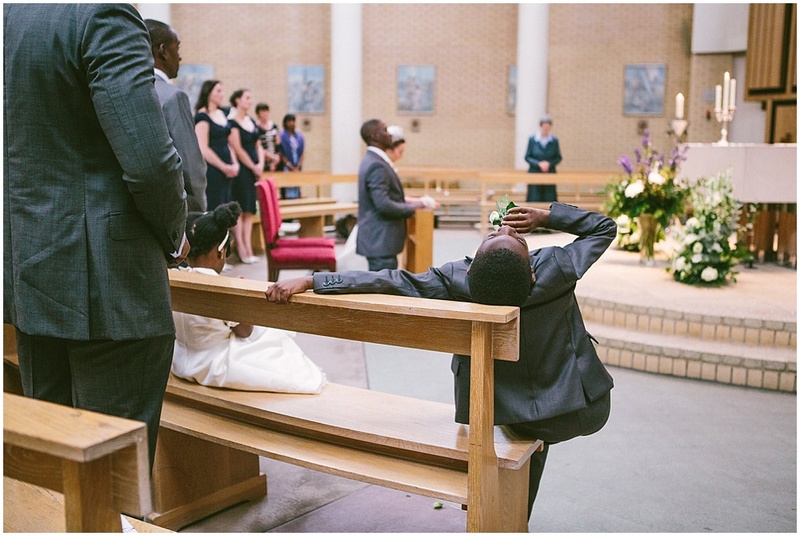 The little boy features in way too many photos, as he was just so funny... 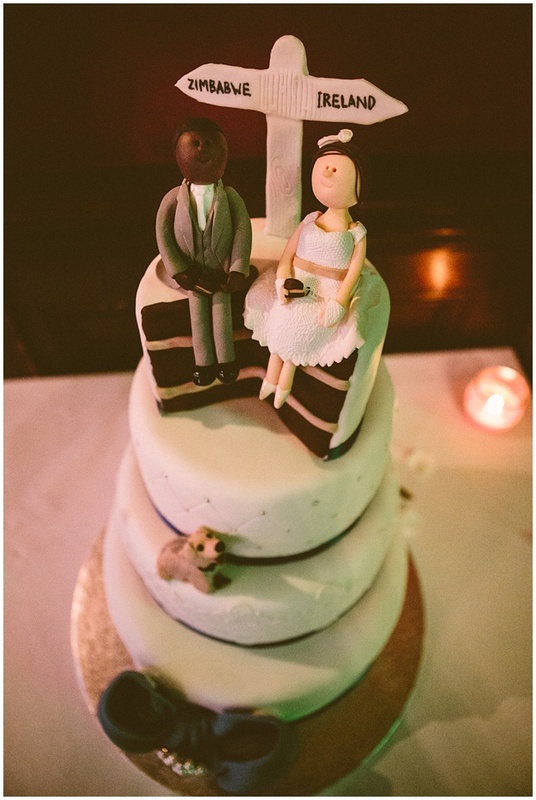 I just had to share! 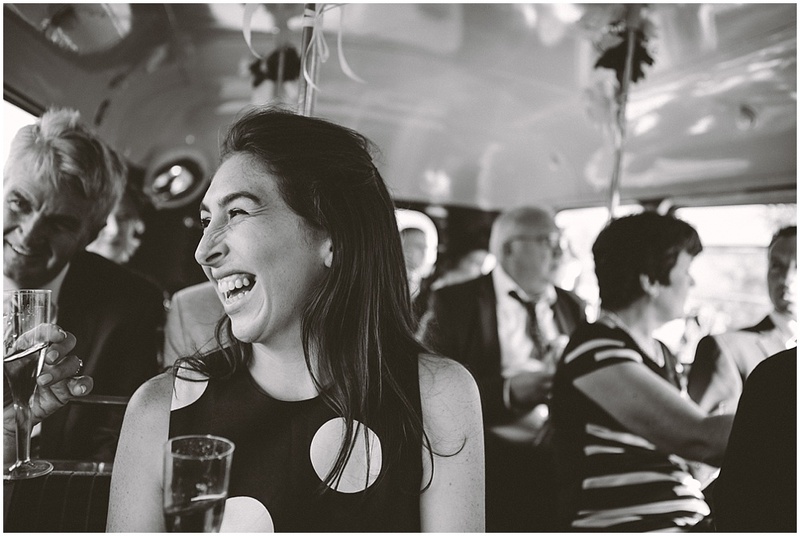 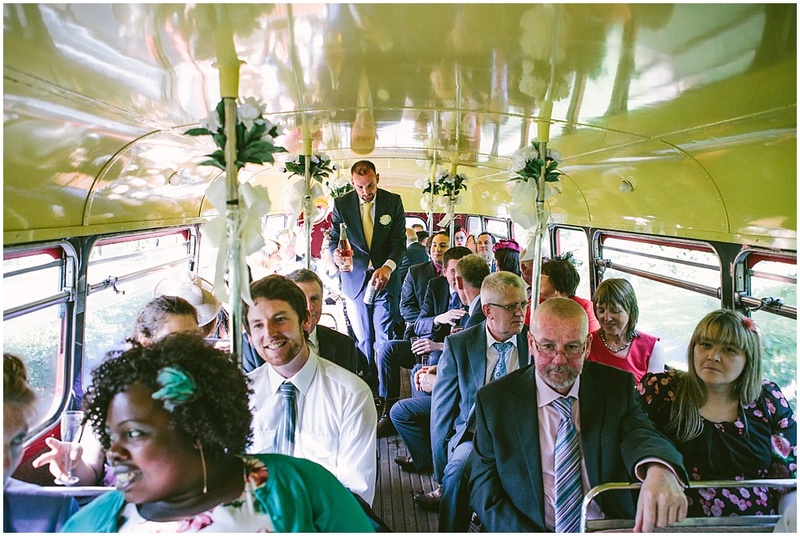 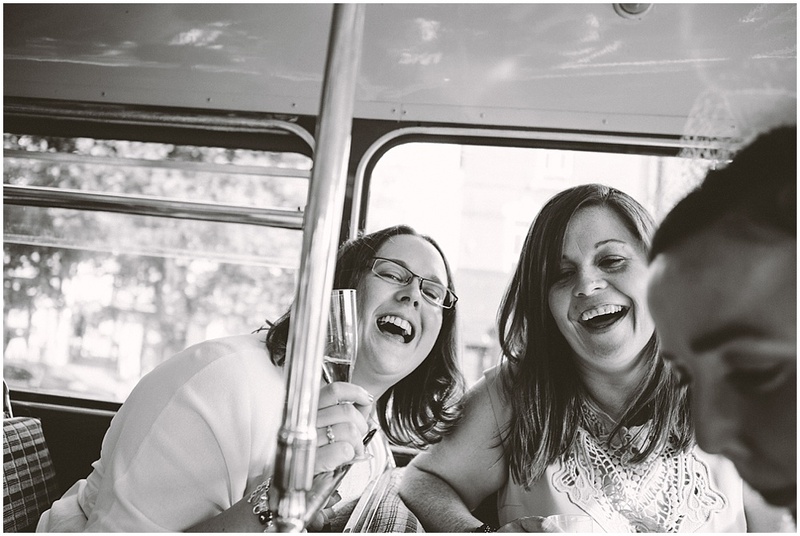 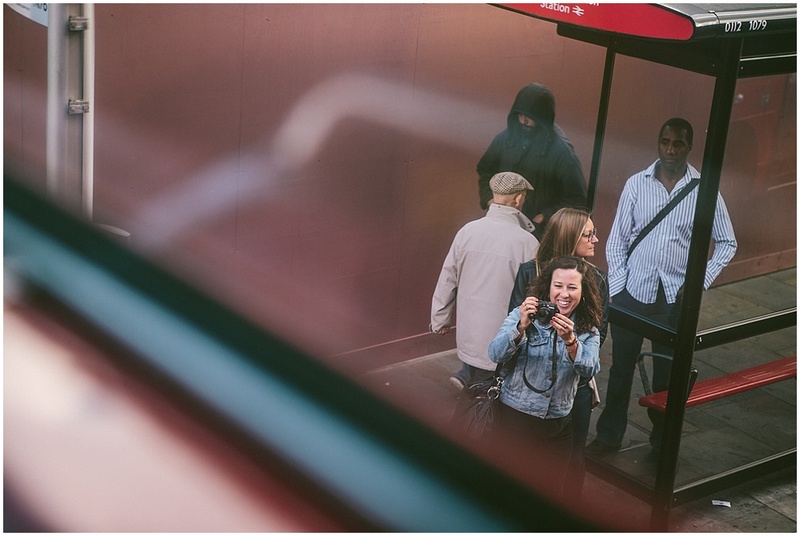 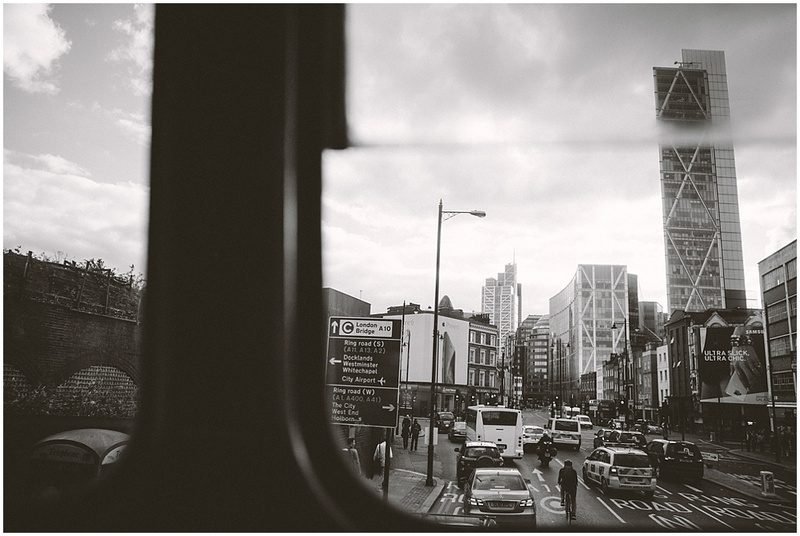 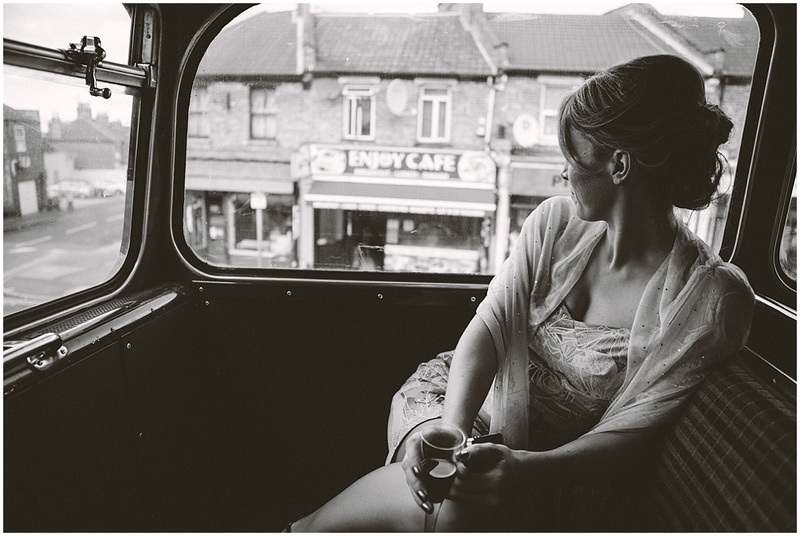 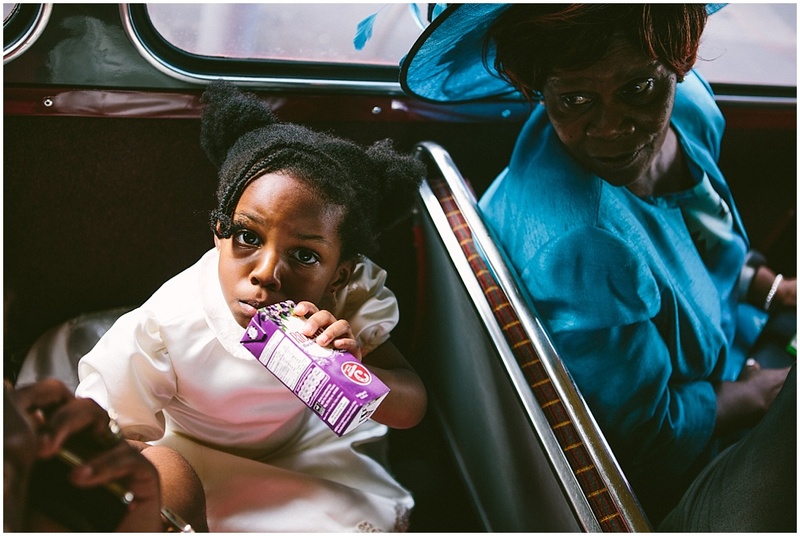 It's strange but I've developed a real fondness for photographing people on busses... although it is quite a challenge! 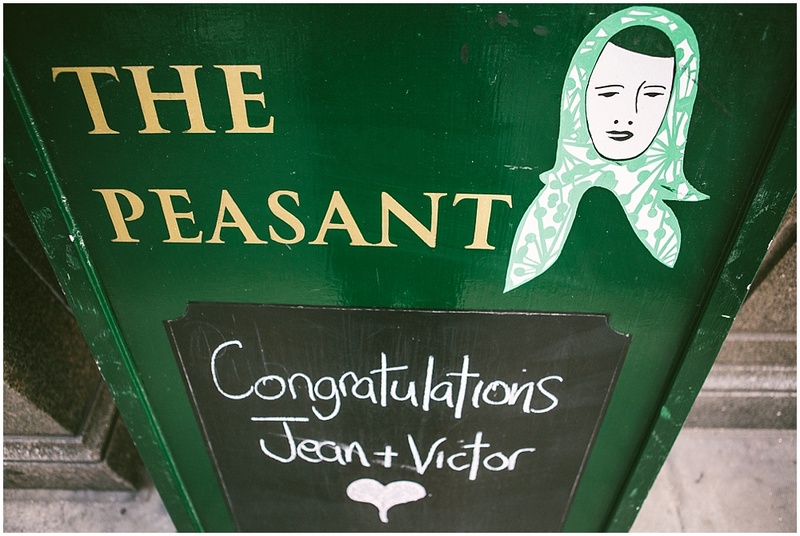 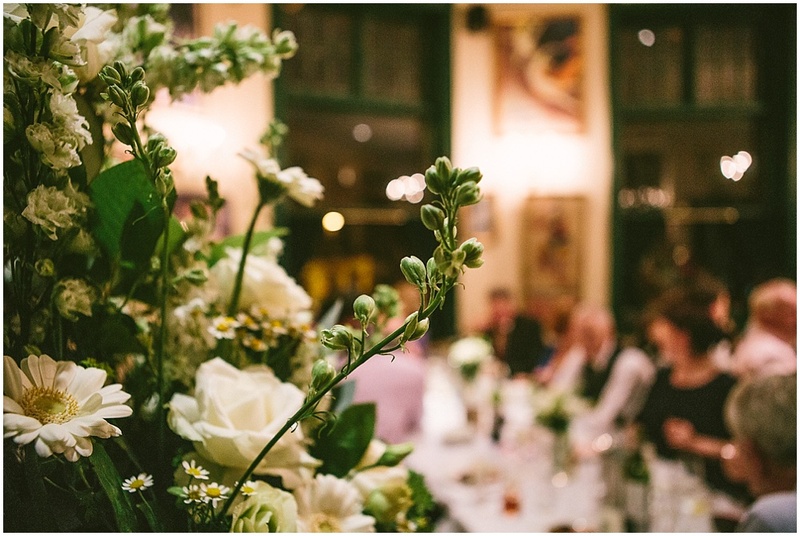 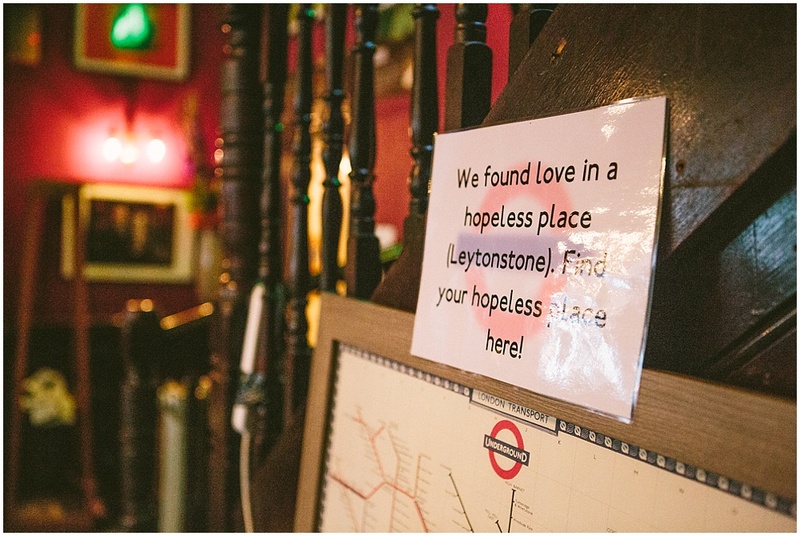 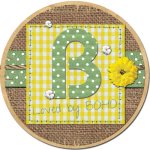 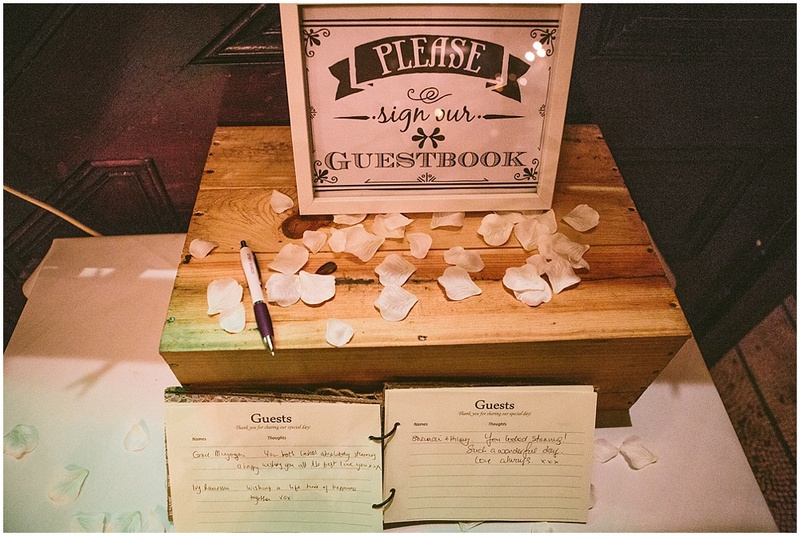 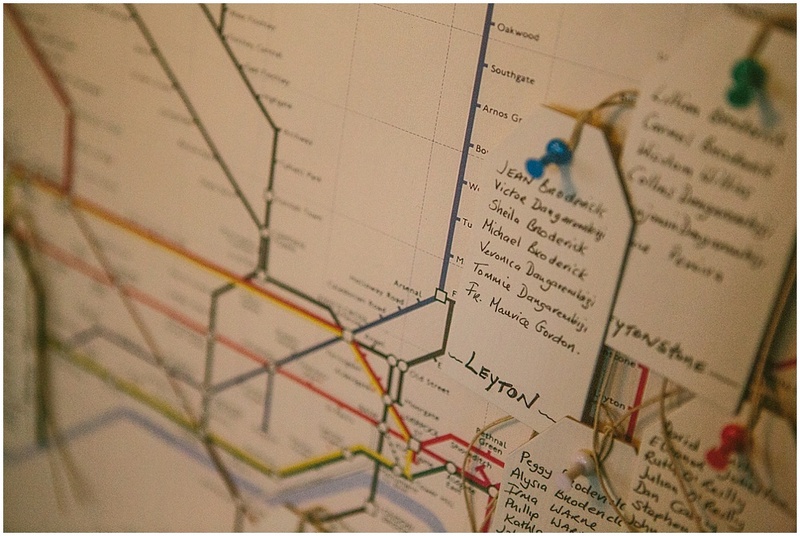 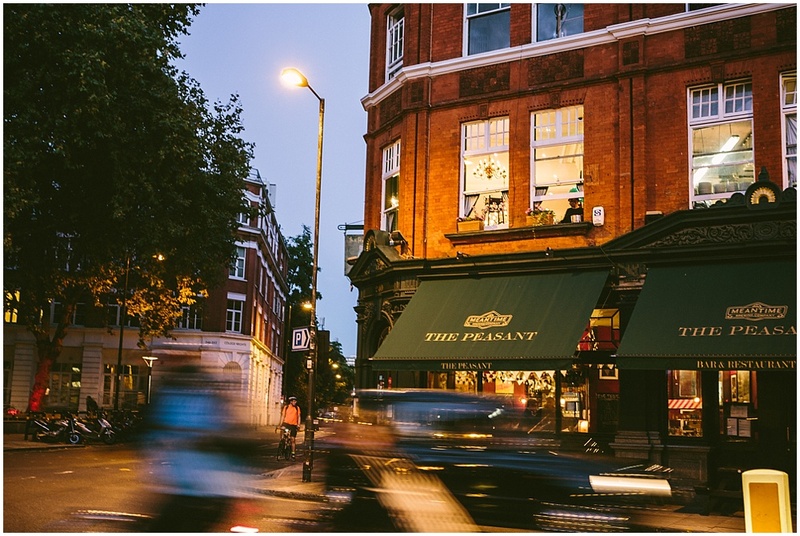 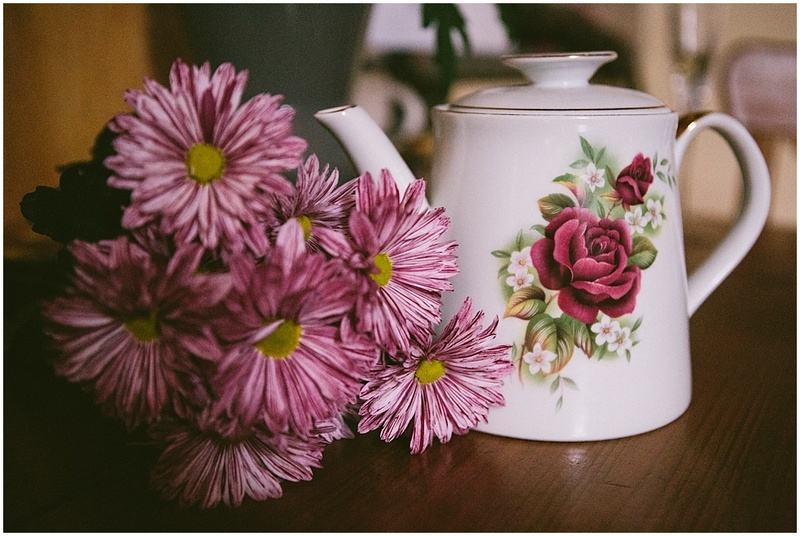 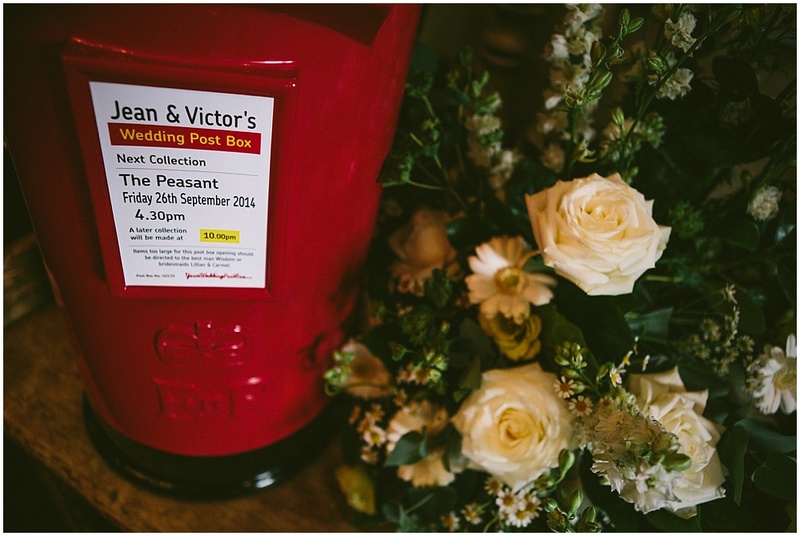 Jean and Victor decorated the upstairs, restaurant room of The Peasant with beautiful white and yellow flowers and hints towards their London life, such as table names related to different tube stops. 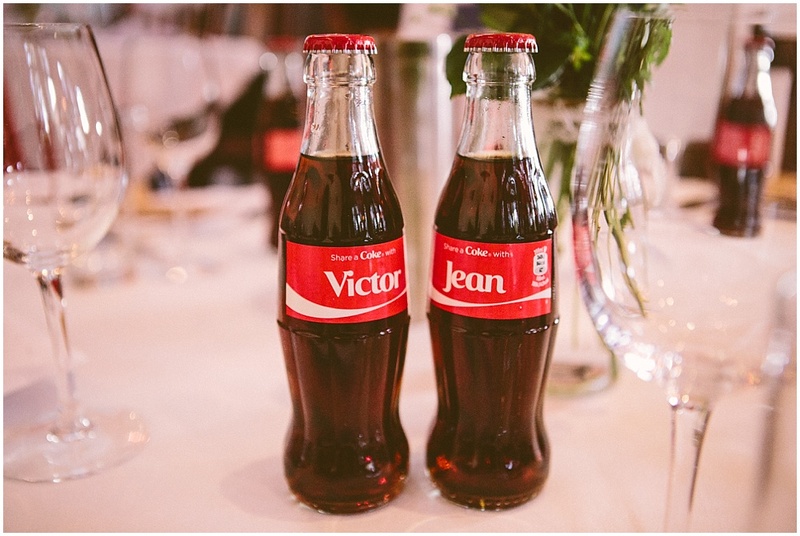 Everyone had a personalised old style coke bottle and as extra favours, Jean and Victor gave all a bit of Irish Luck, with a lottery ticket each. 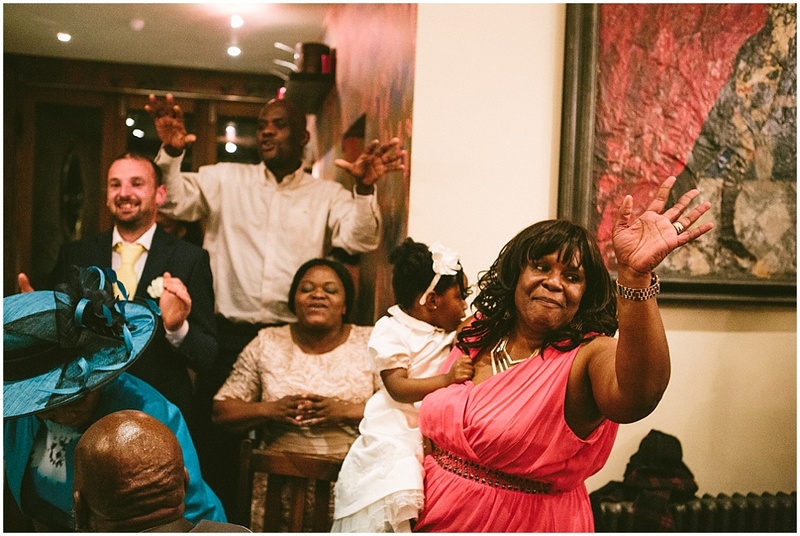 Jean and Victor had short and sweet speeches... but afterwards the African members of the party burst into spontaneous song that soon spread through the whole room. 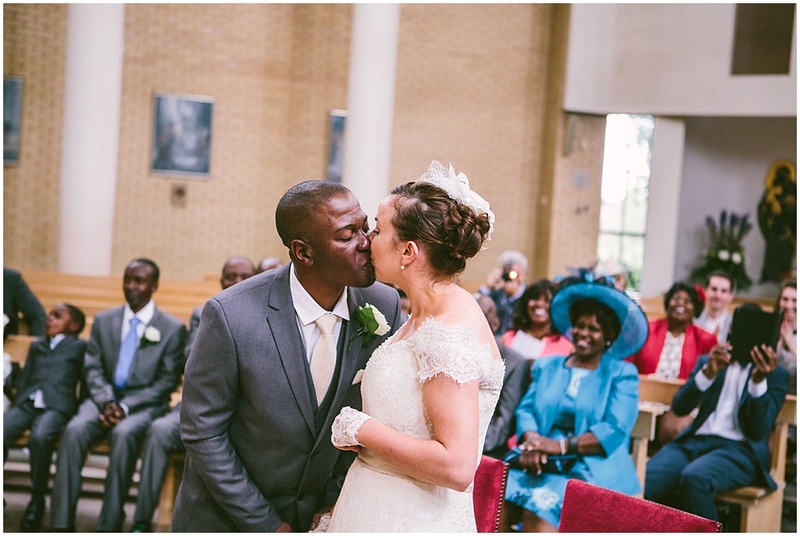 Later Jean told me it meant "Welcome Sister-in-Law" and I thought it was pretty magical! 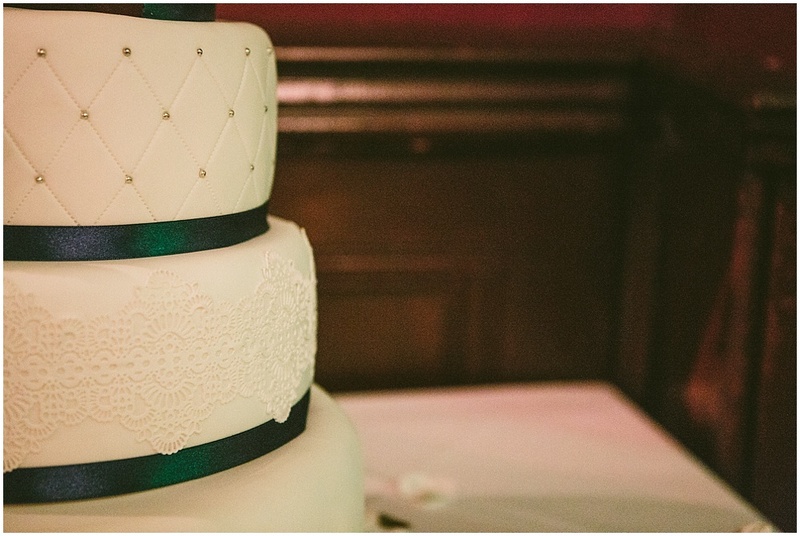 There was so much special detail in Jean and Victor's lovely cake by Claire at Claire's Cakes Essex. 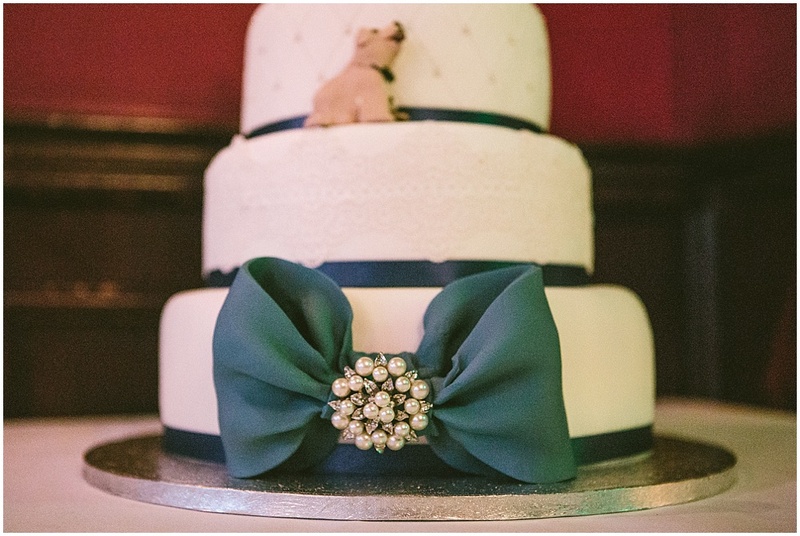 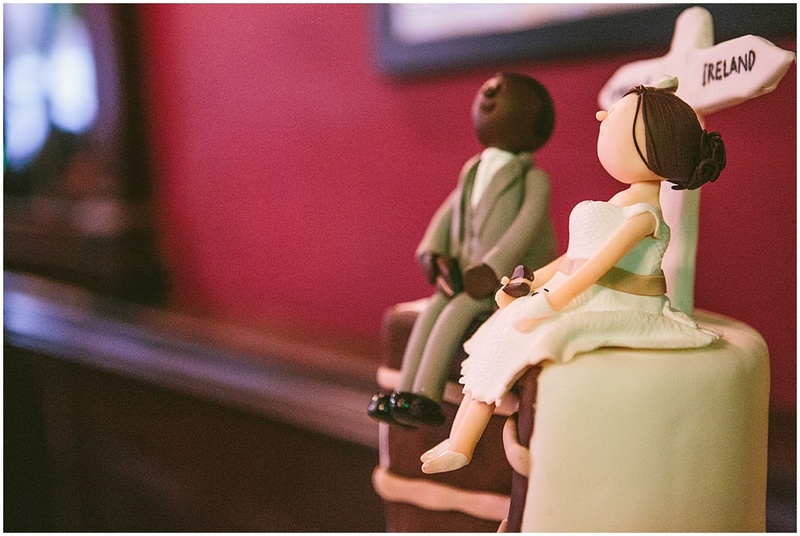 Just look at the dress and accessories on the cake topper - they are just right. 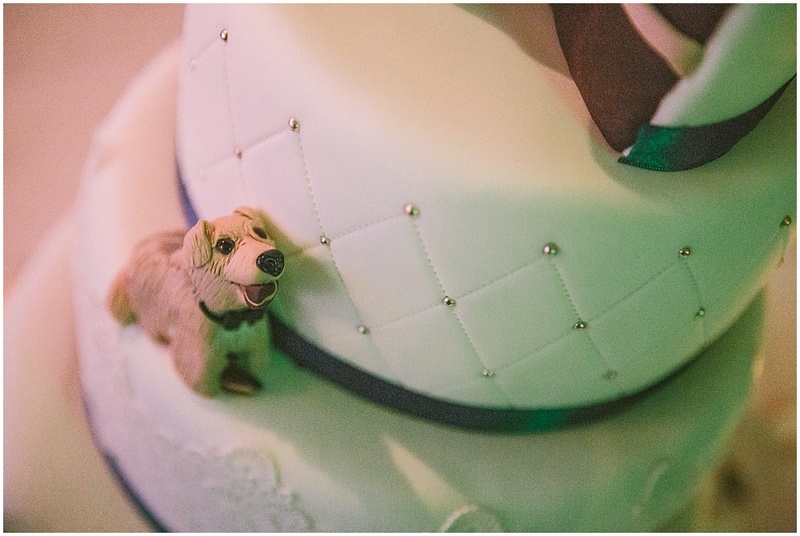 Extra squeal for the icing dog!! 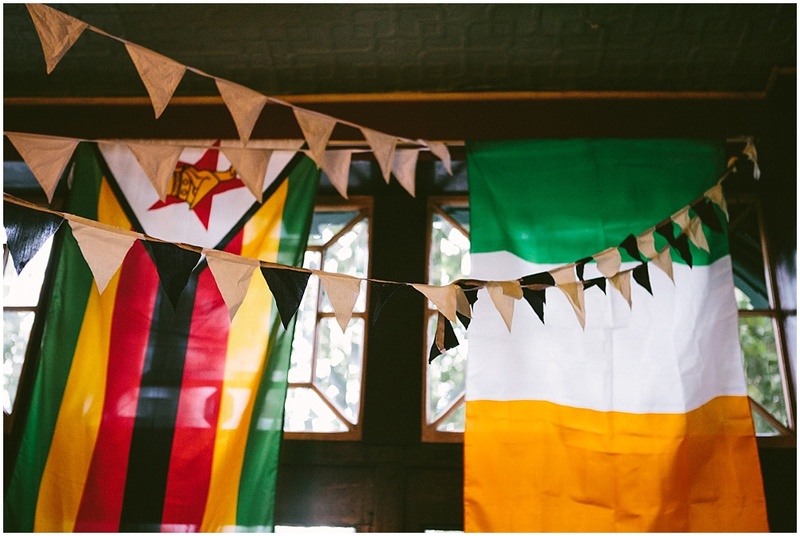 In the evening, an Irish band kicked off the party... and man what a party! 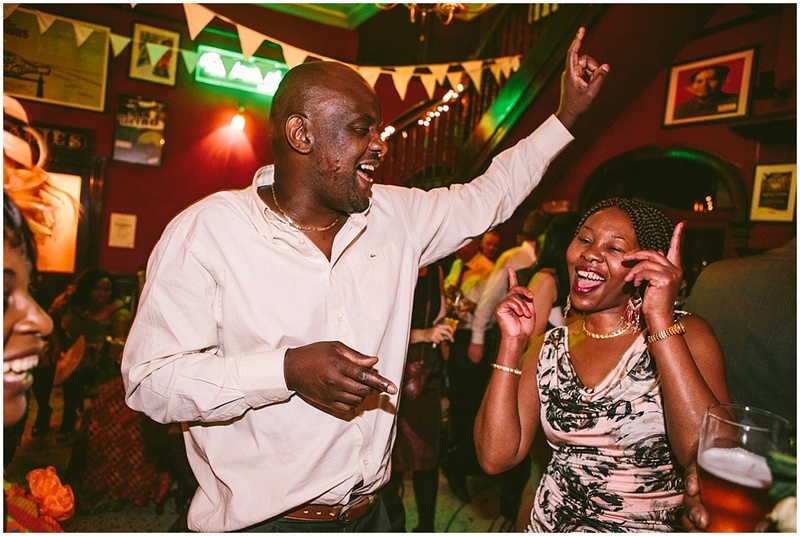 Later they played some African music so it was a real mix. 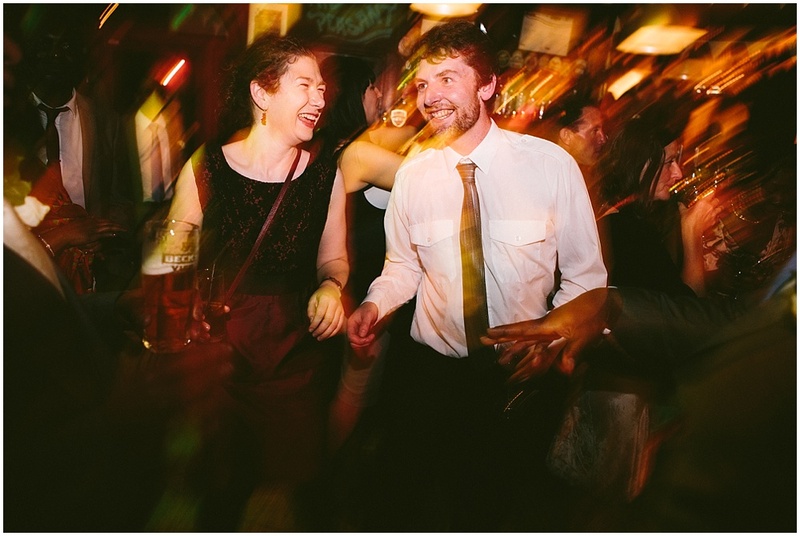 The whole place was so packed with happy dancing people! 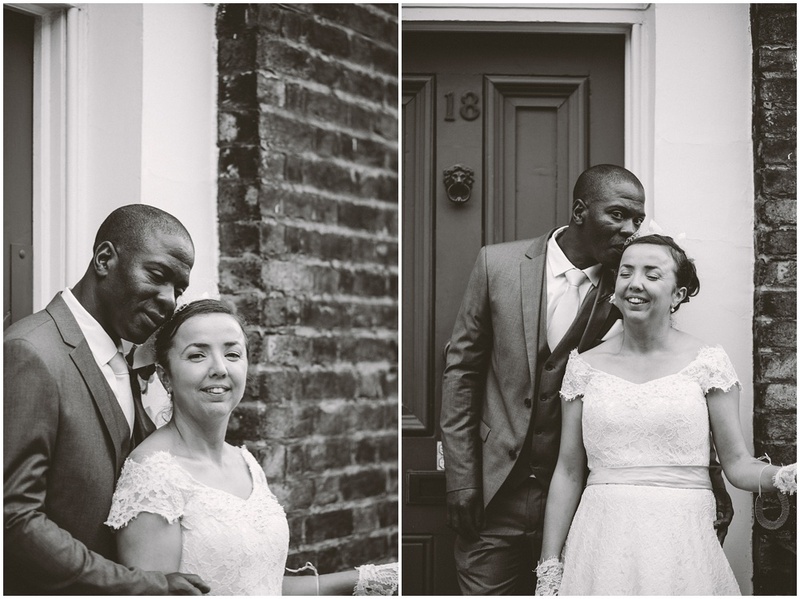 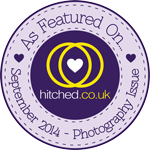 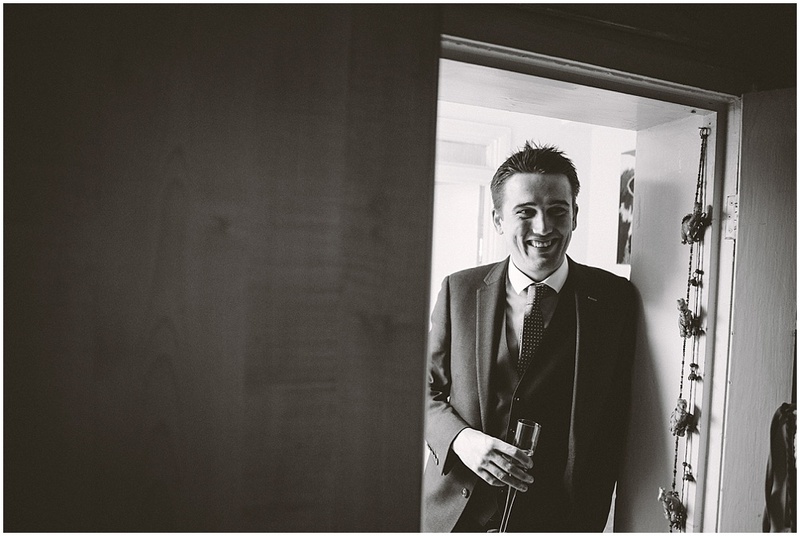 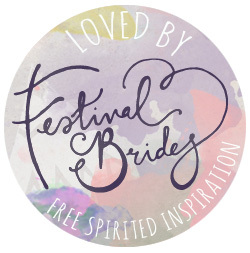 Thanks so much for having me there to photograph your special day guys!